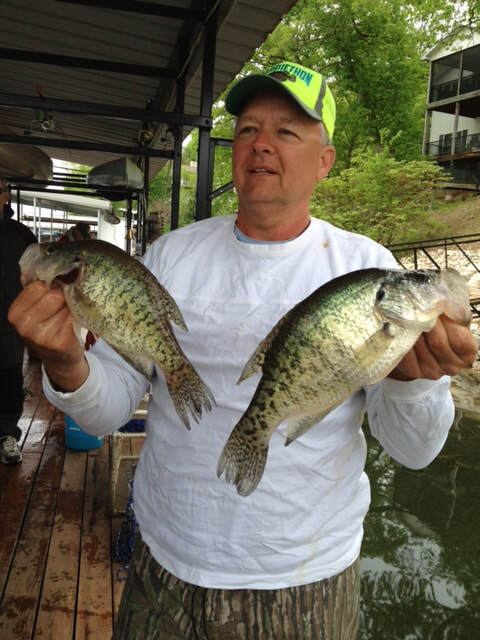 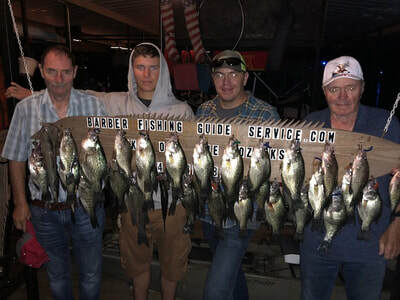 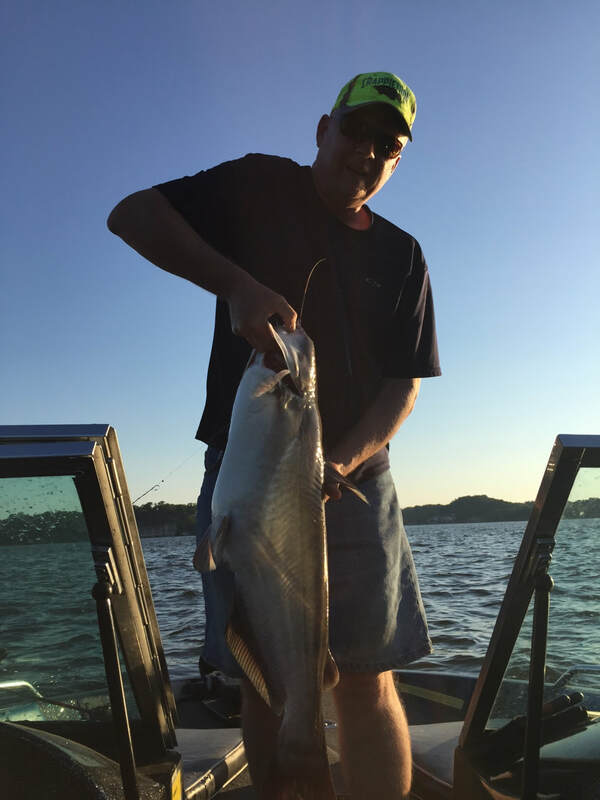 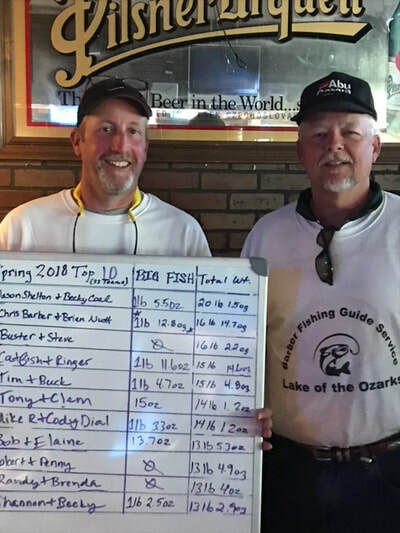 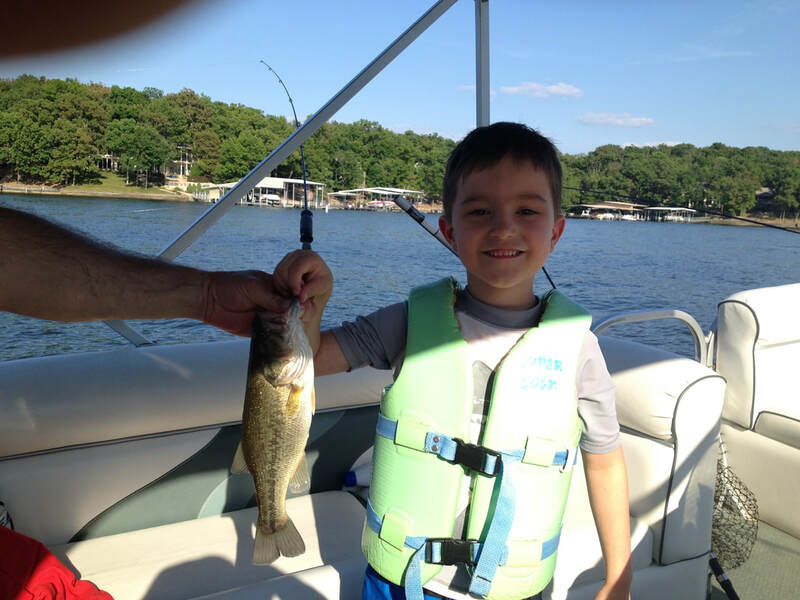 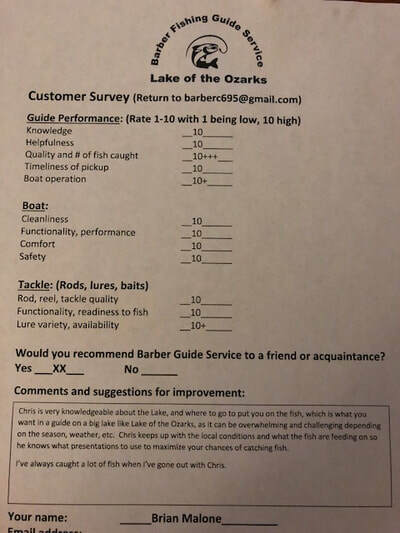 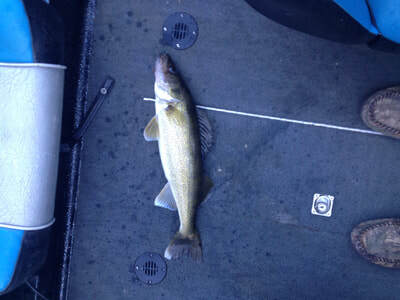 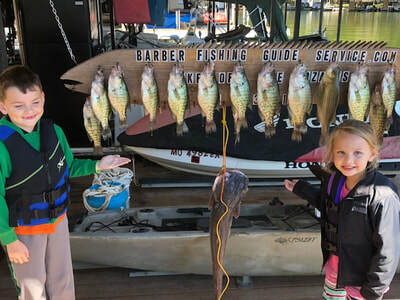 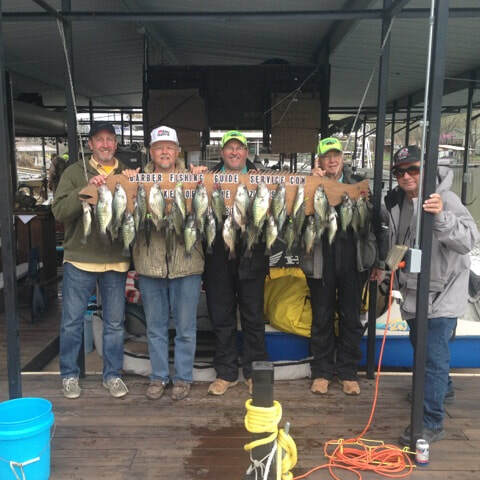 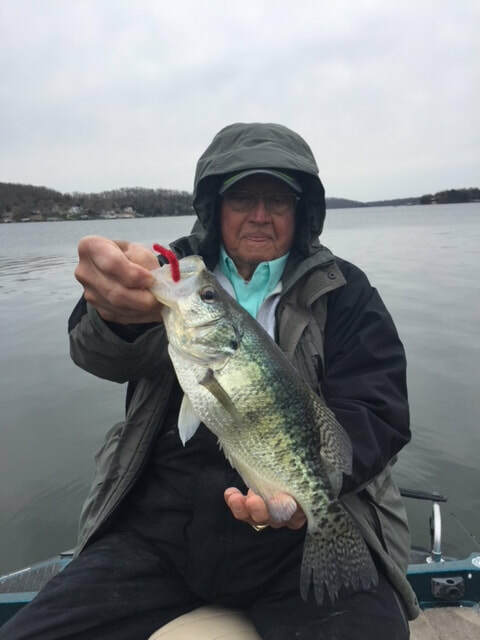 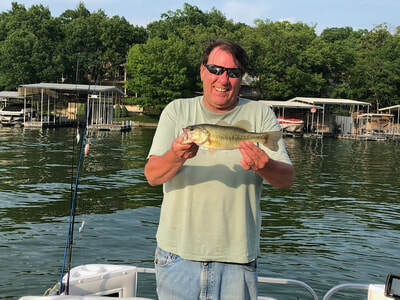 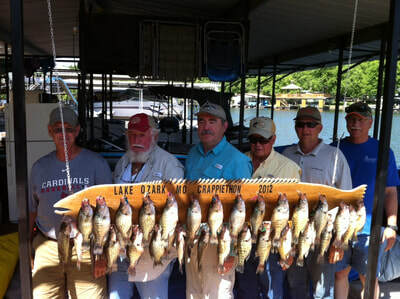 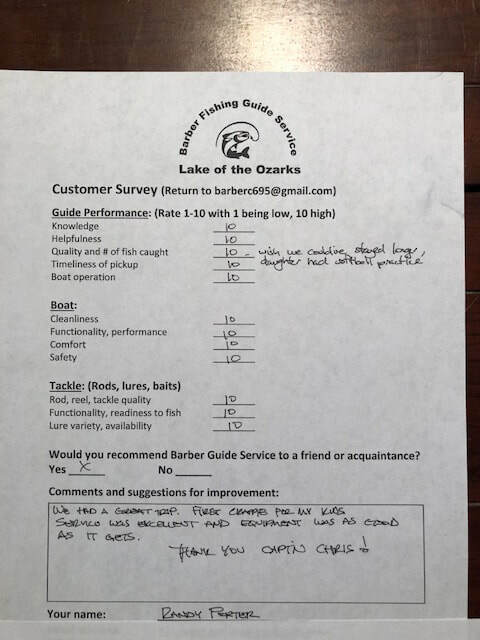 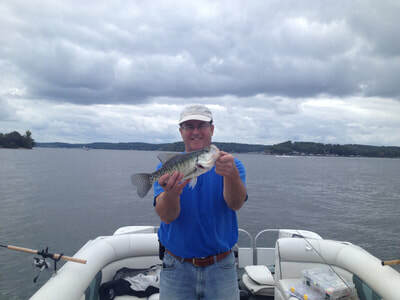 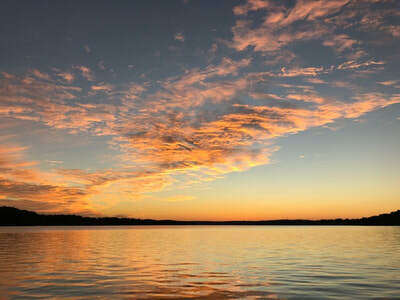 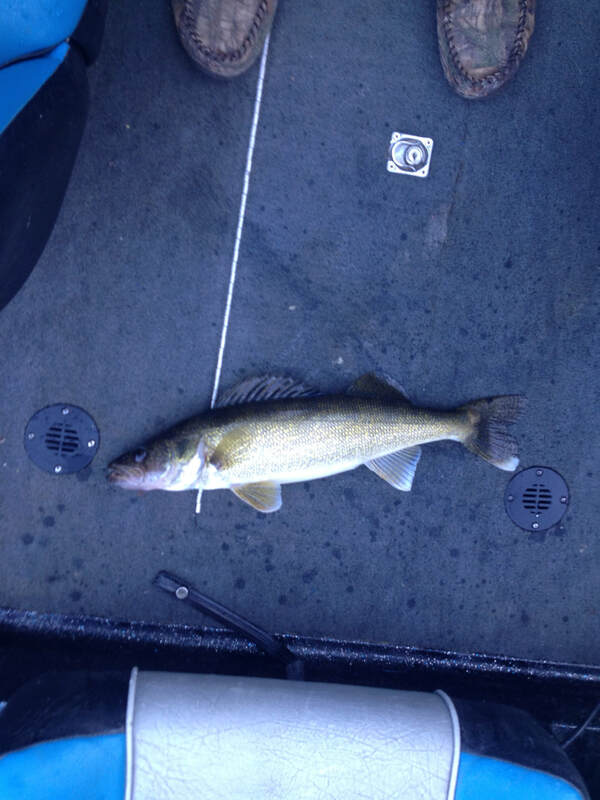 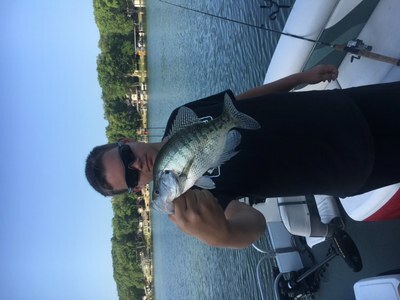 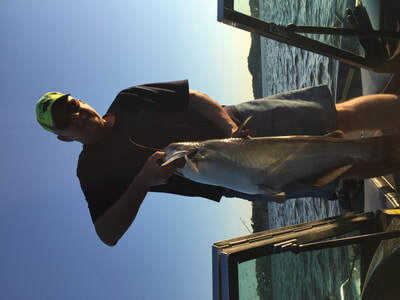 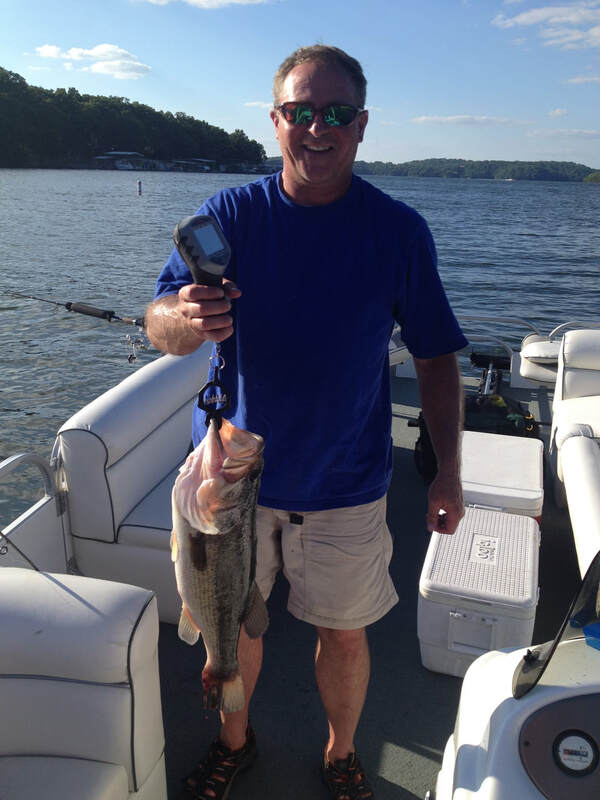 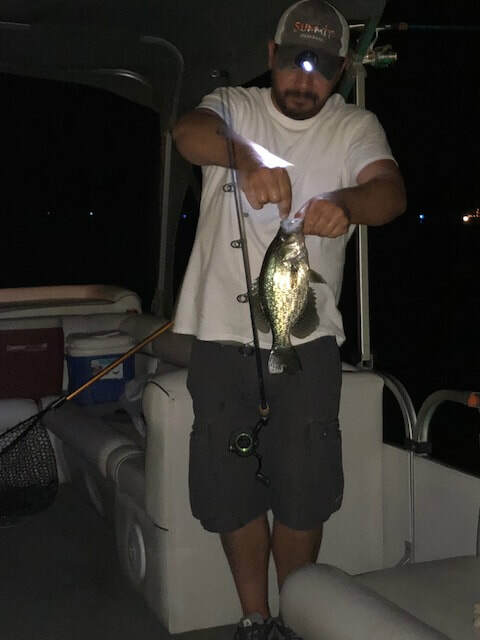 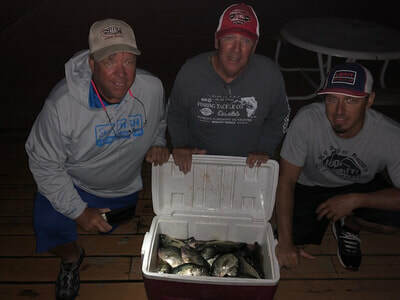 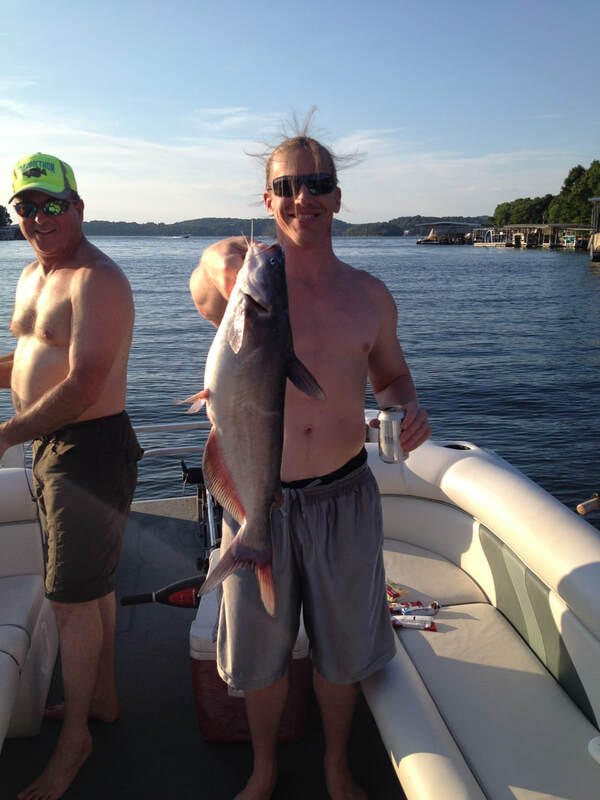 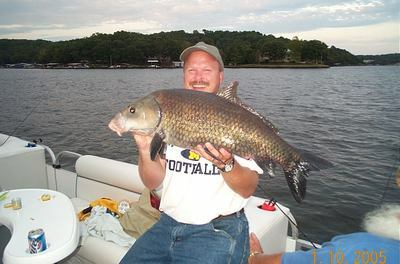 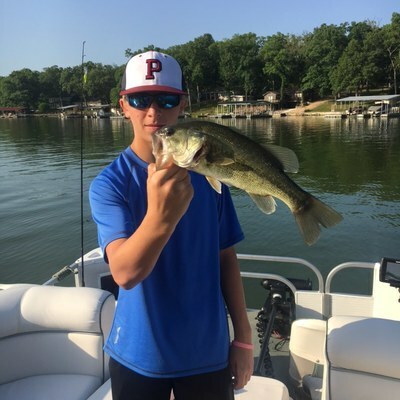 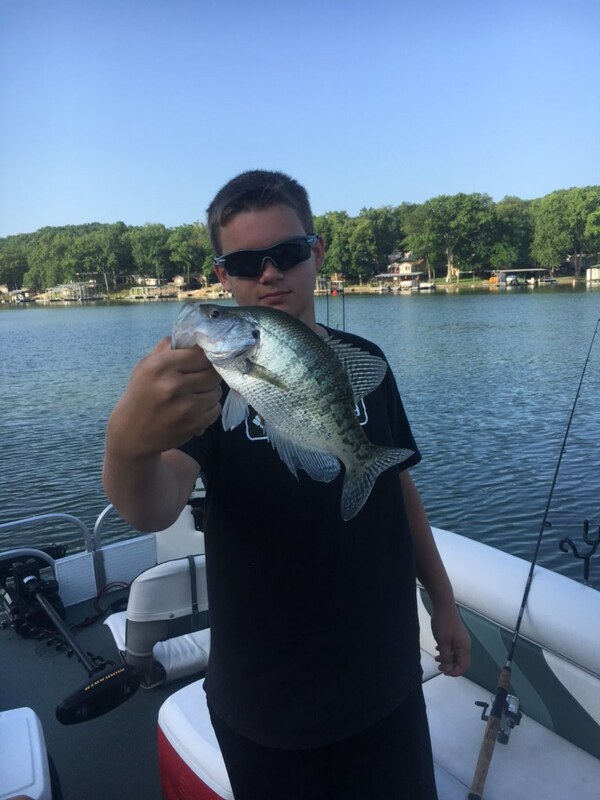 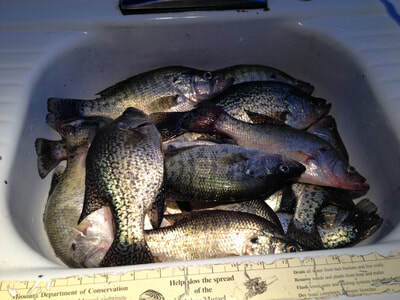 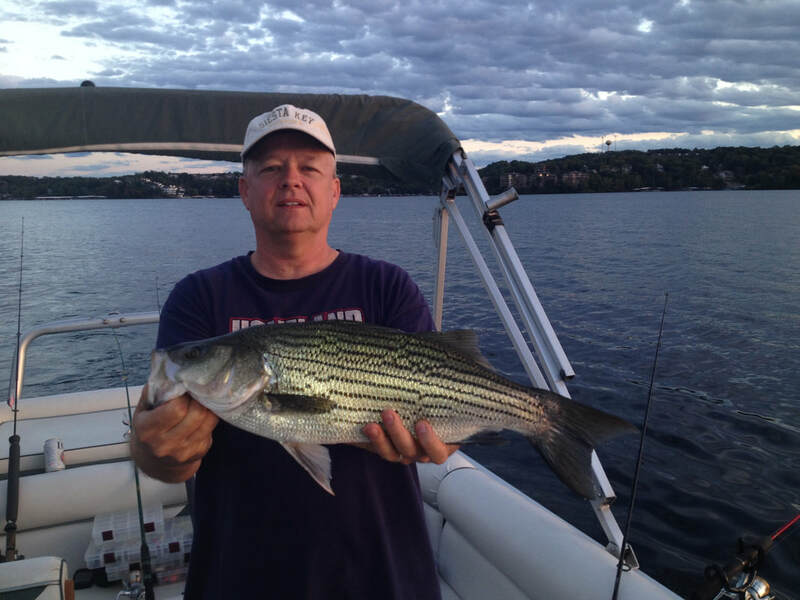 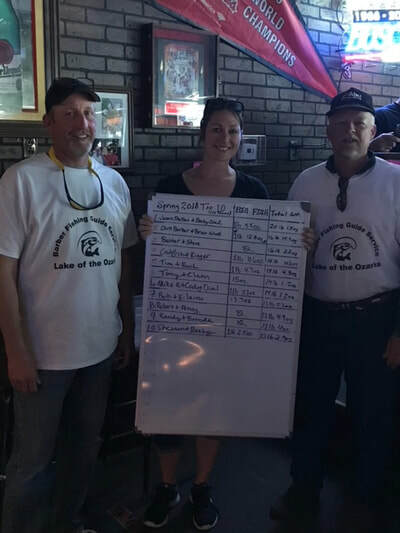 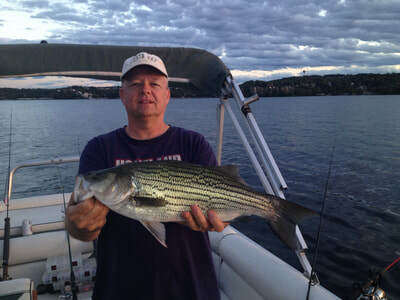 Barber Fishing Guide Service Lake Of The Ozarks - Great Fishing! 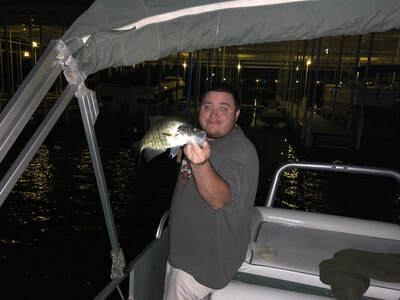 We provide all tackle for your fishing charter as well as non-alcoholic beverages. 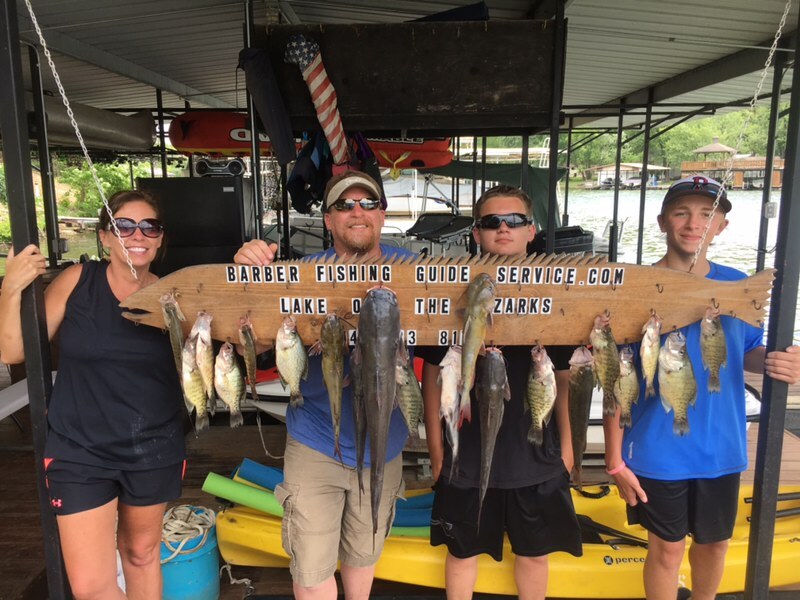 All you need to bring is a MO fishing license and sunscreen! 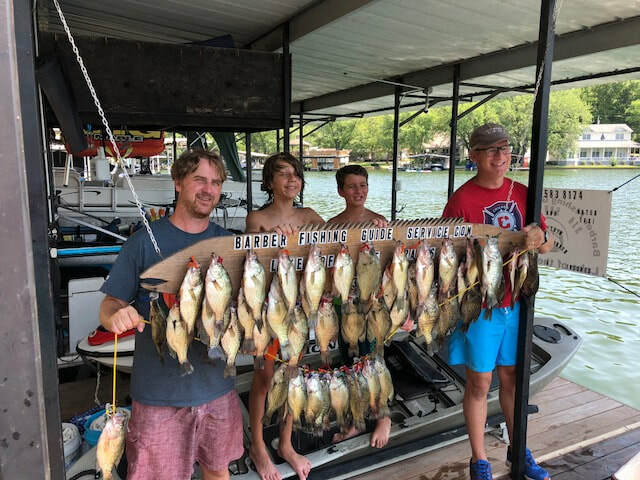 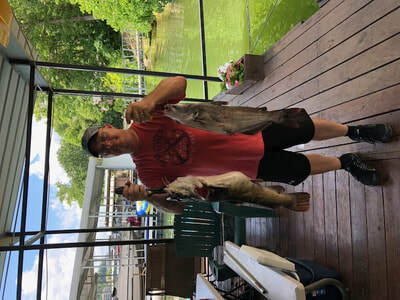 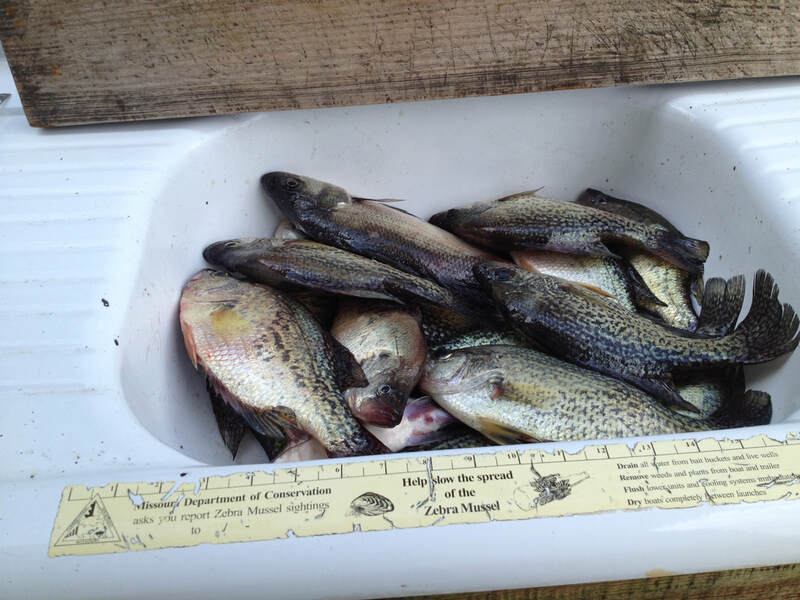 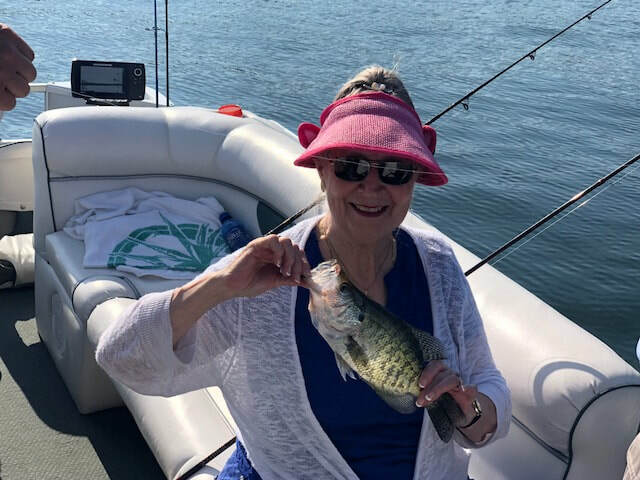 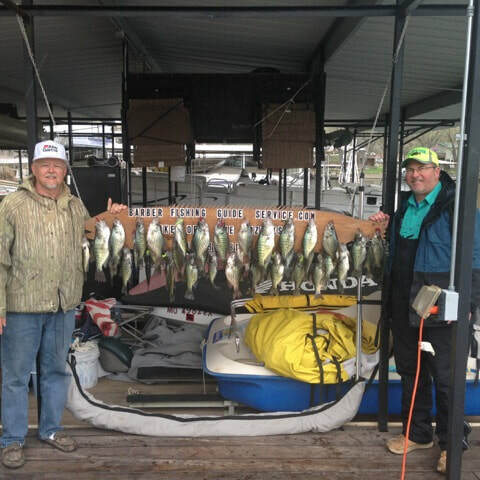 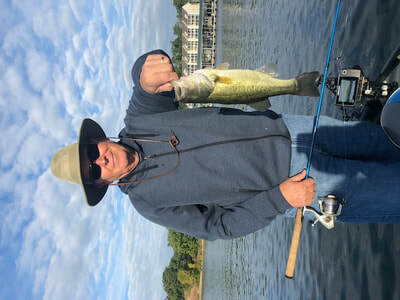 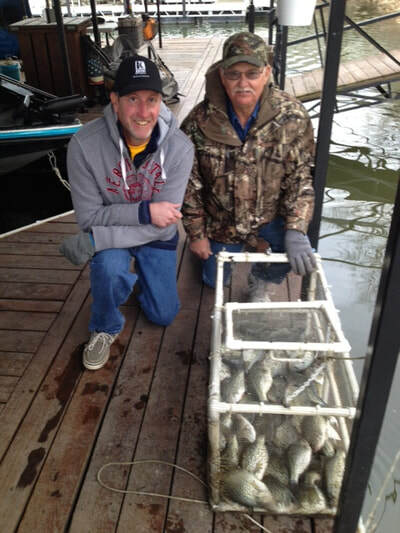 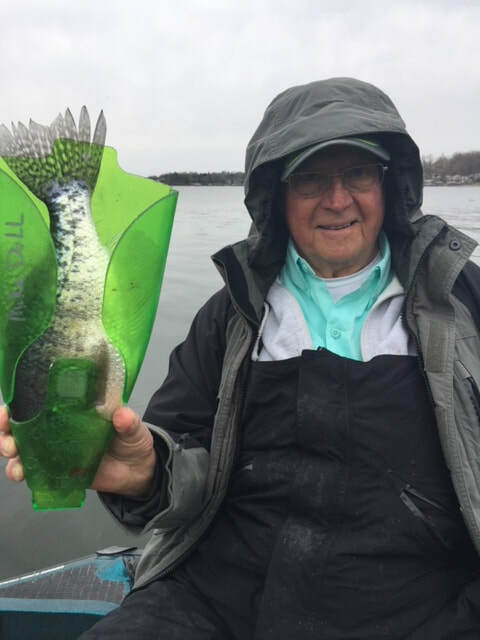 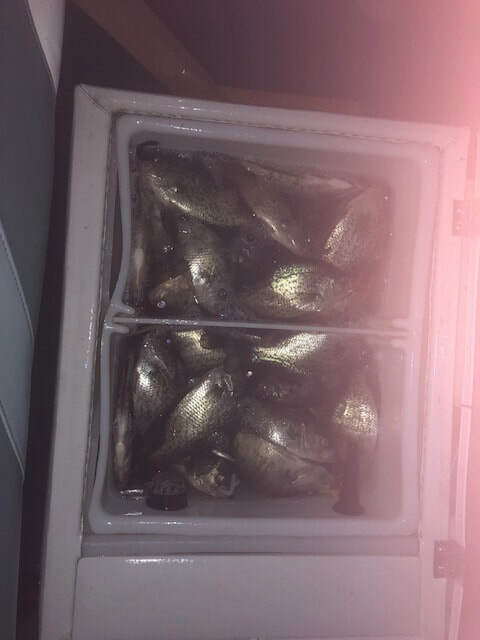 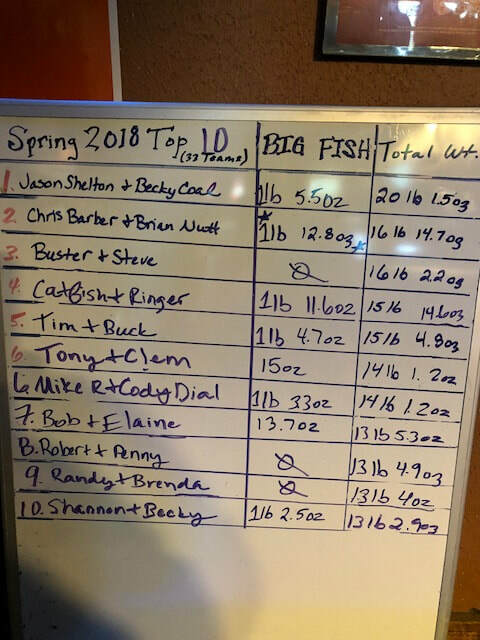 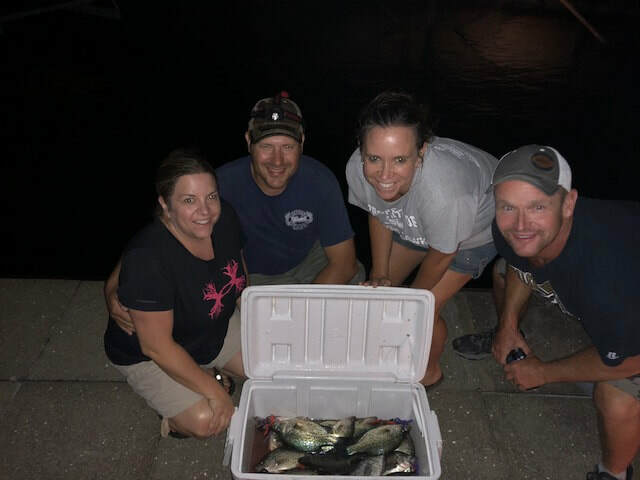 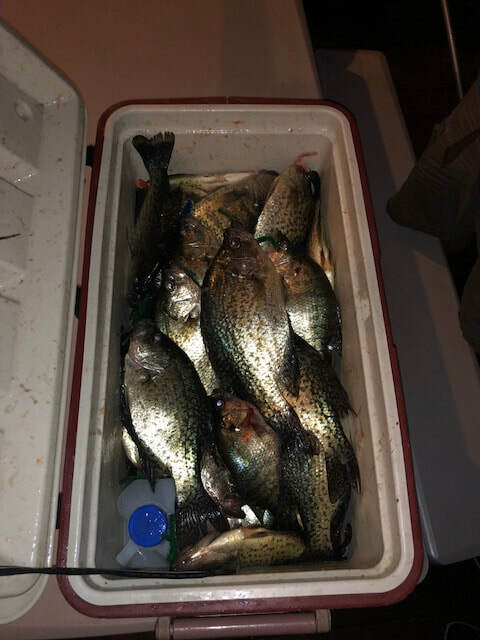 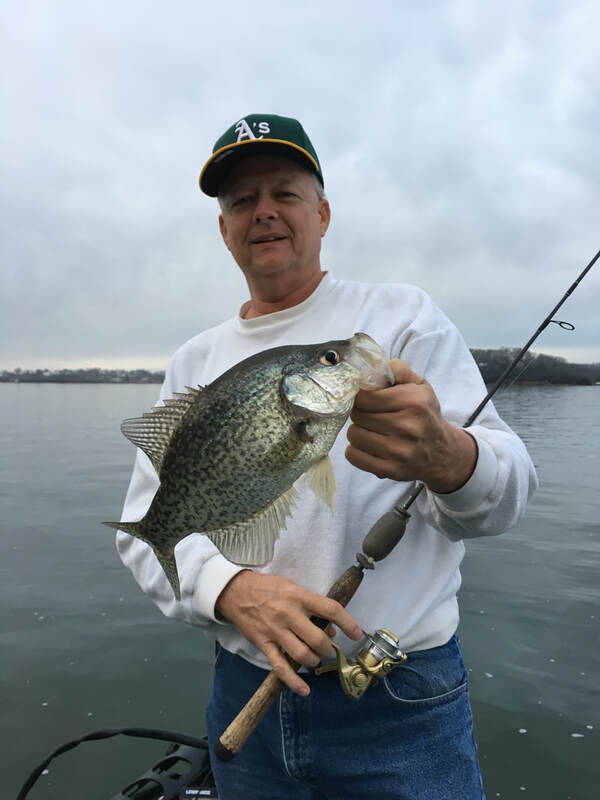 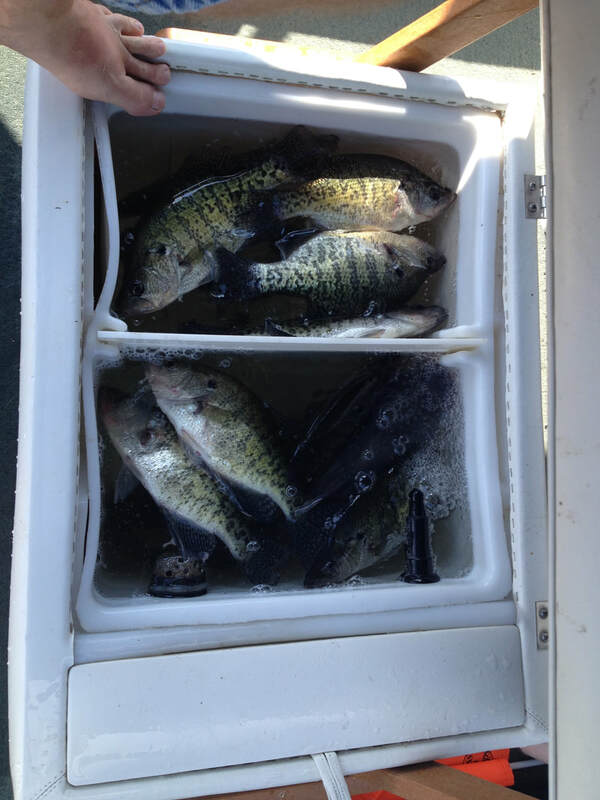 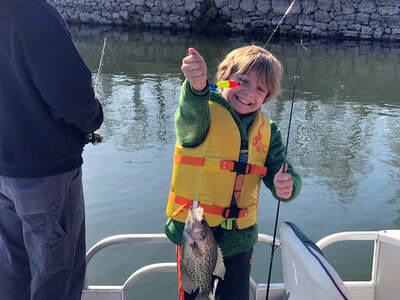 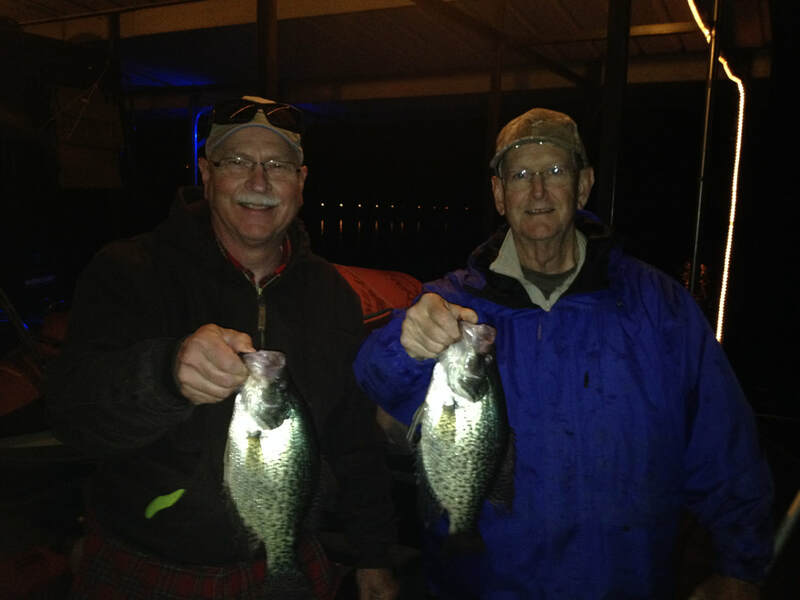 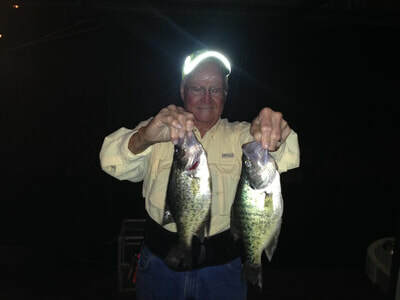 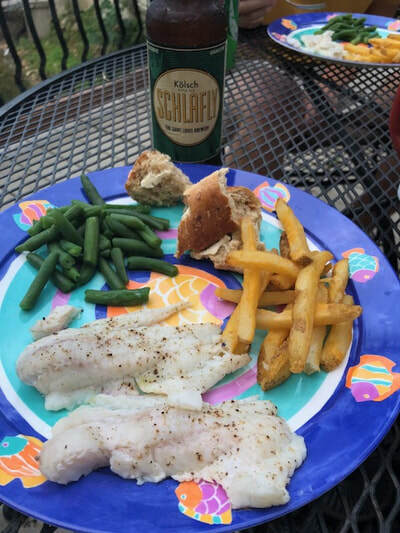 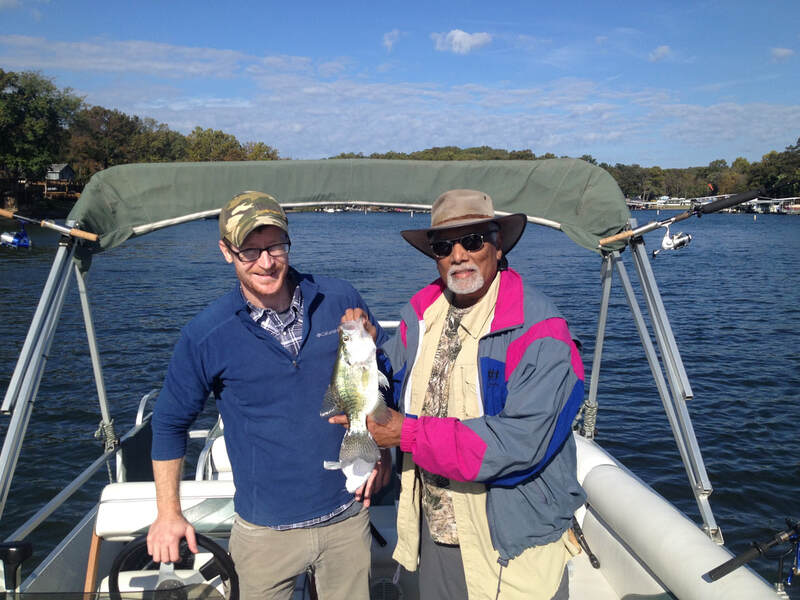 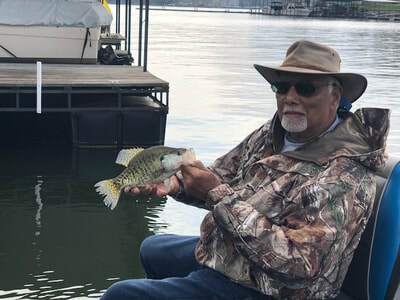 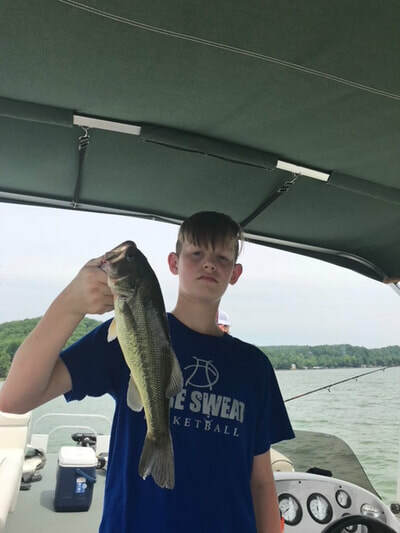 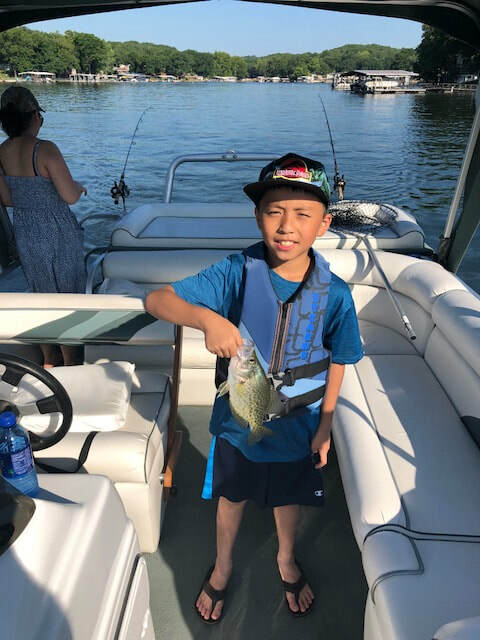 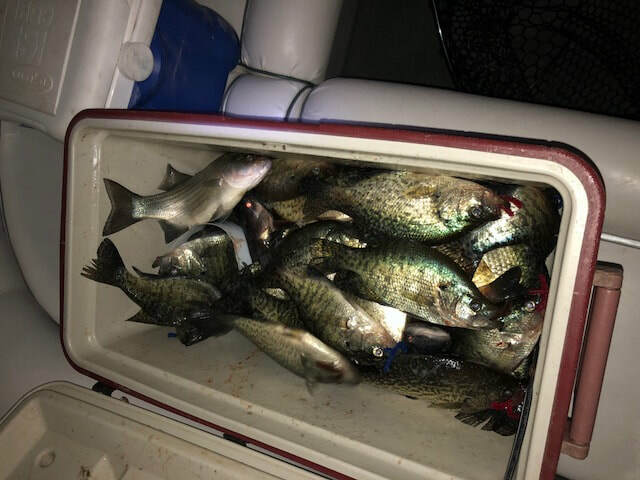 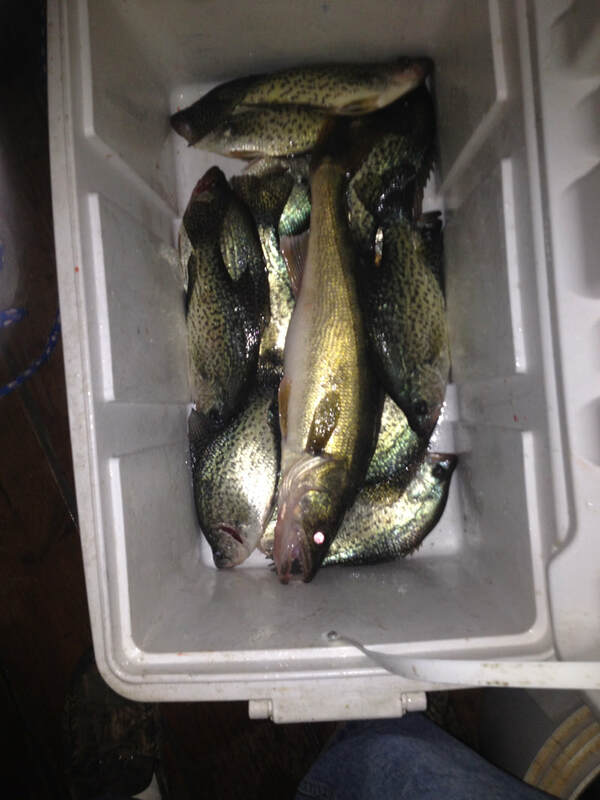 Our customers have fun and catch fish! 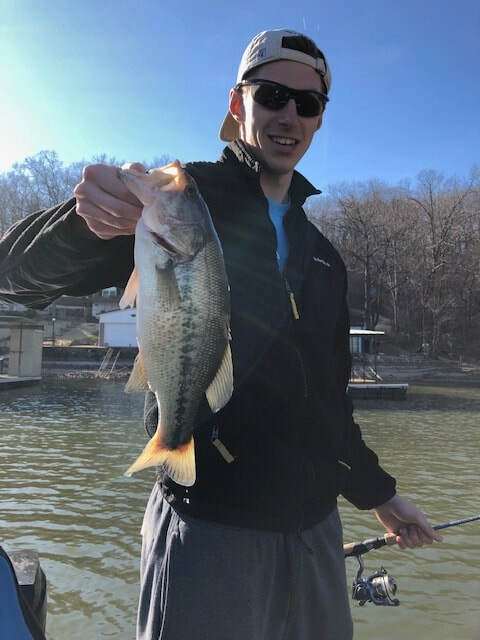 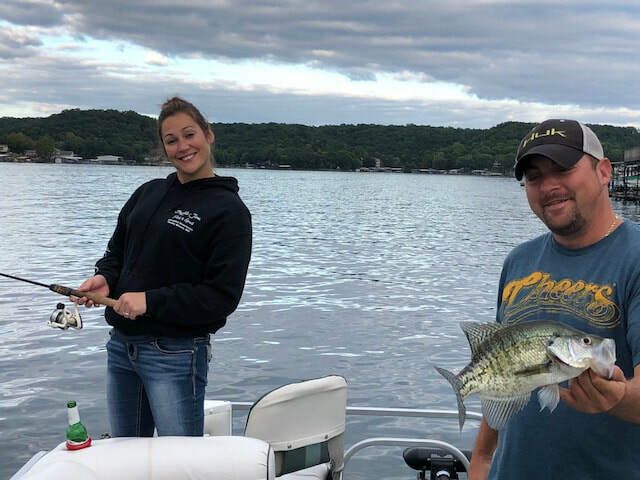 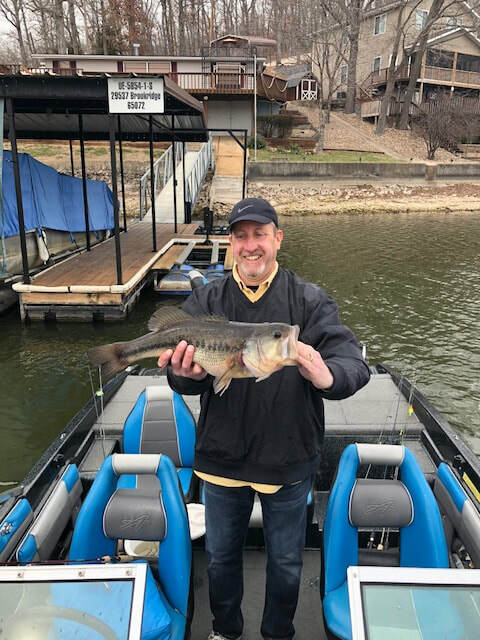 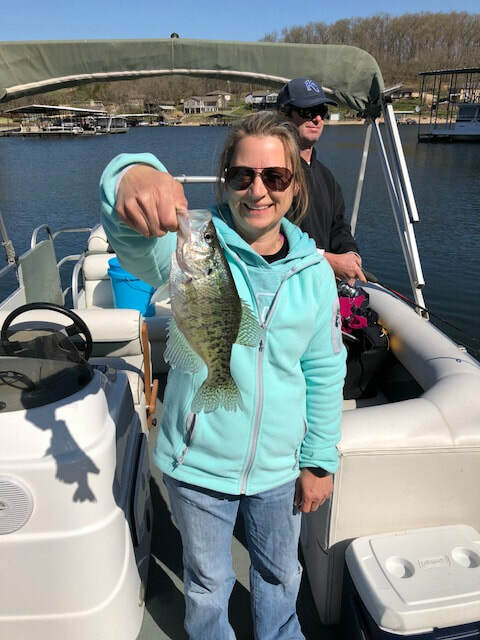 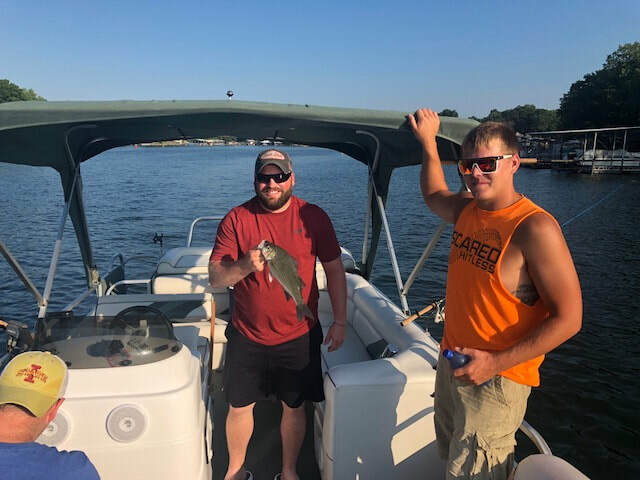 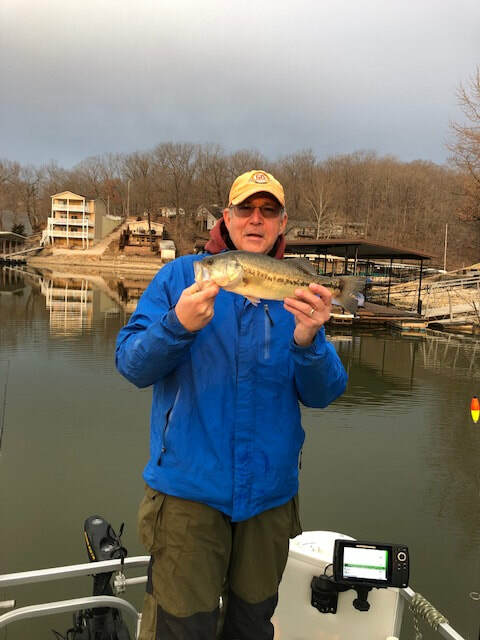 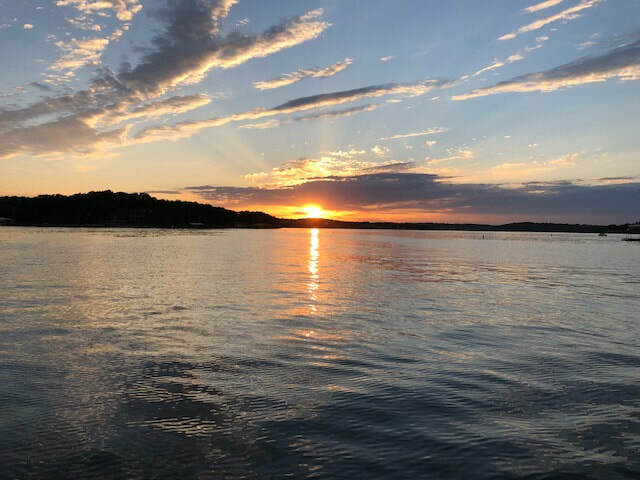 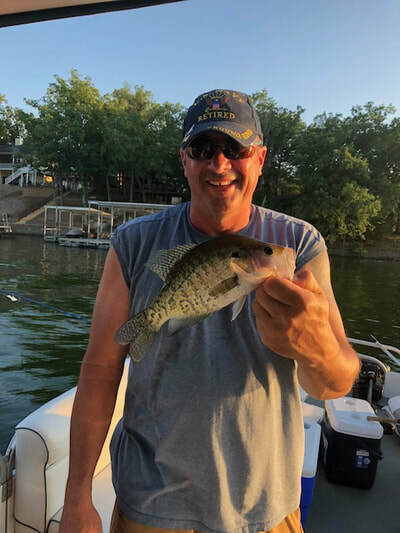 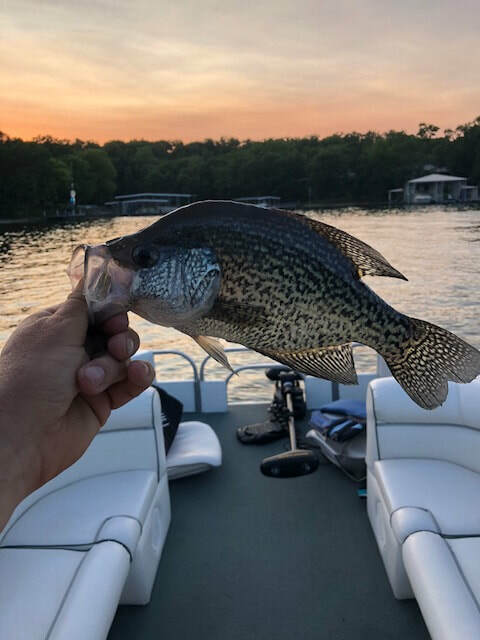 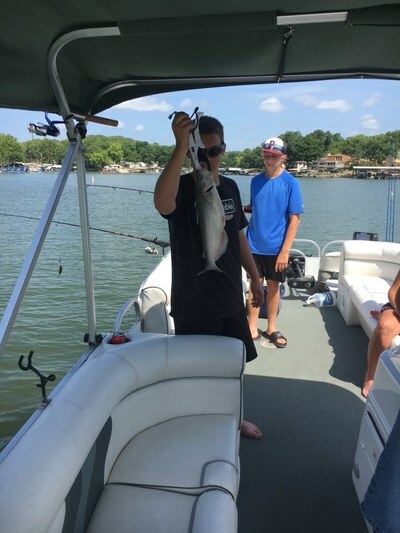 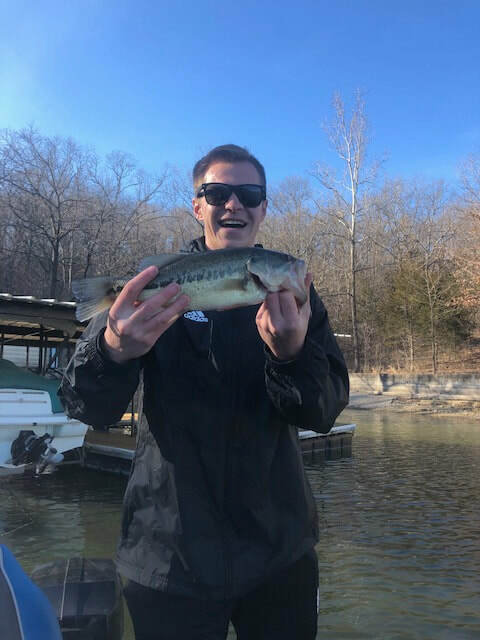 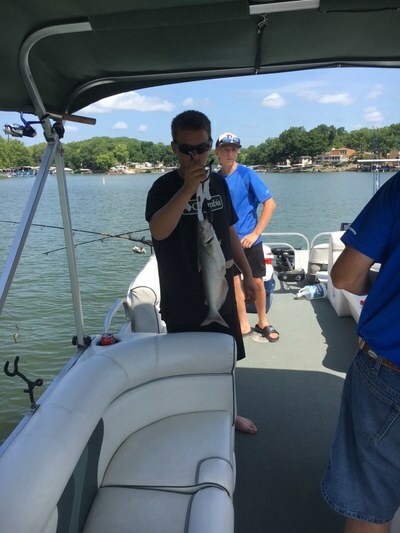 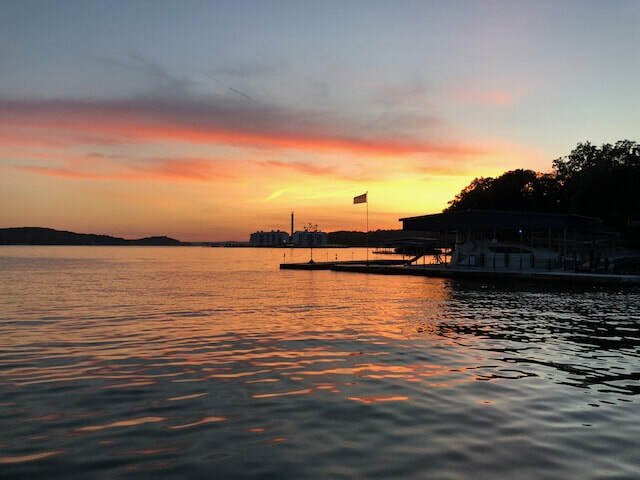 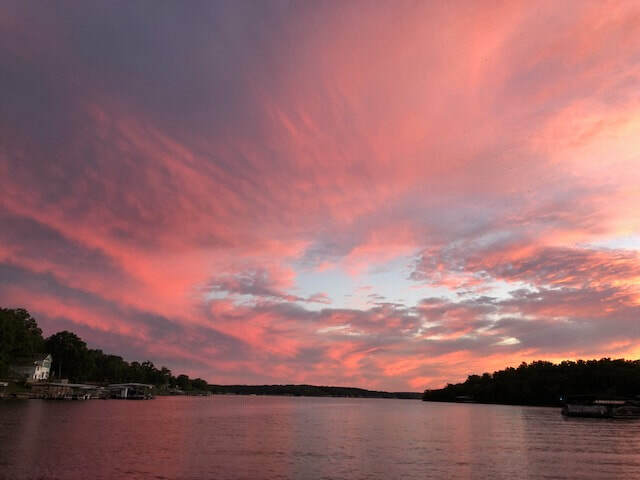 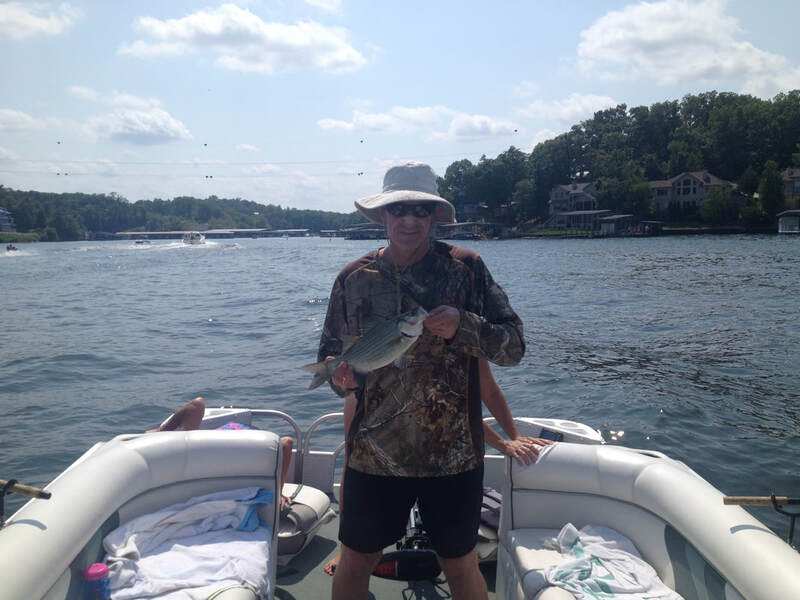 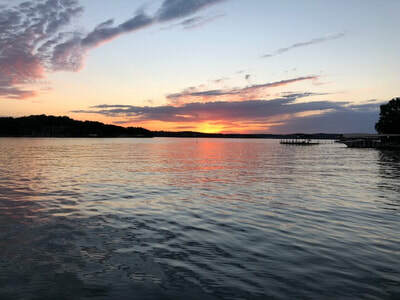 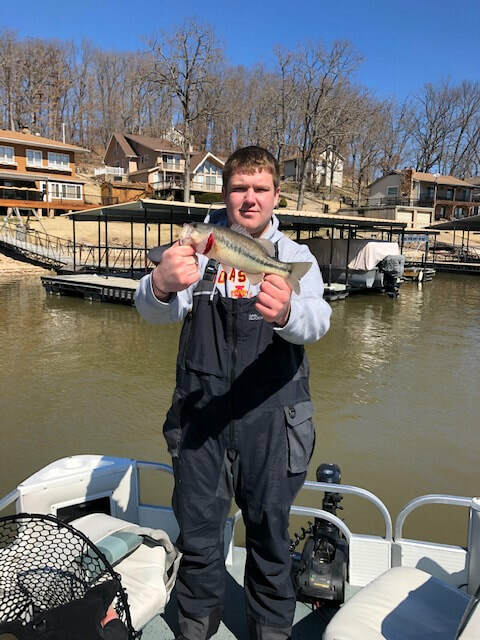 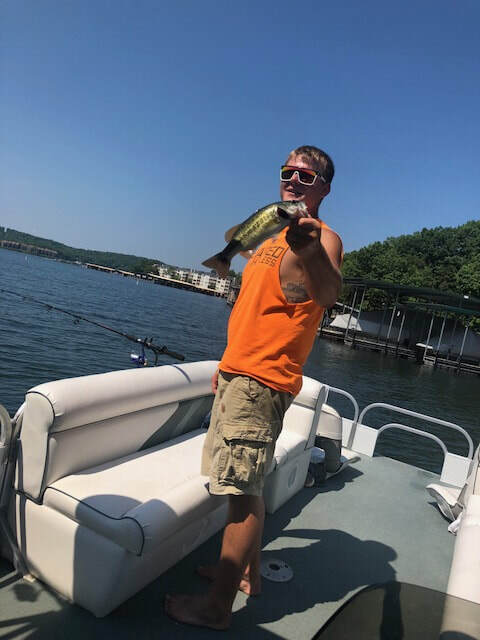 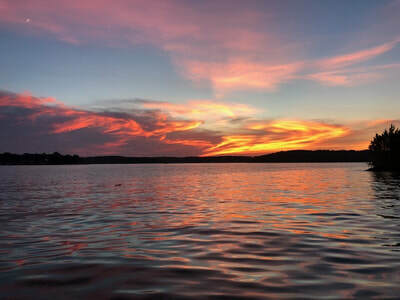 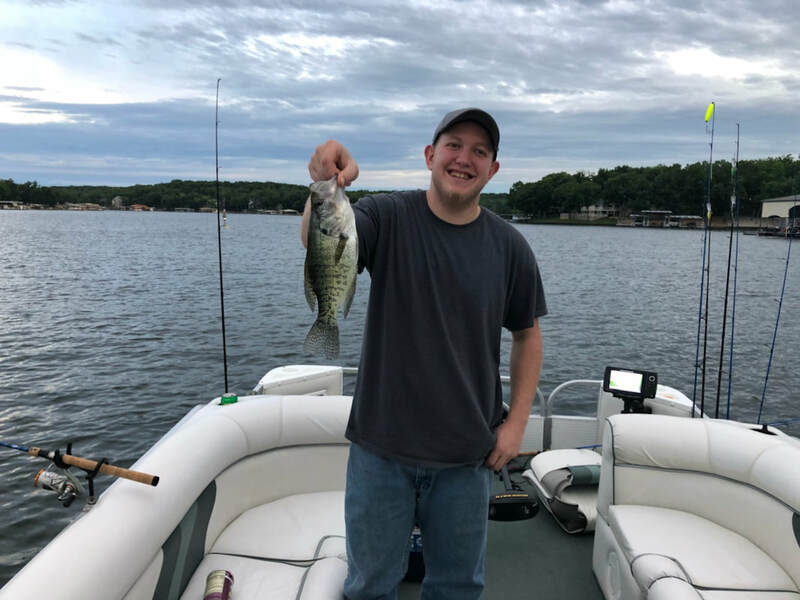 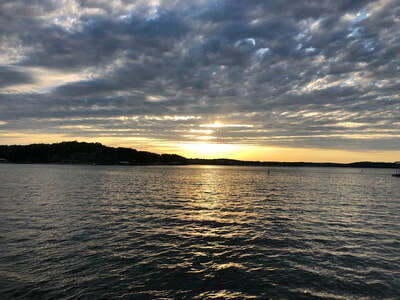 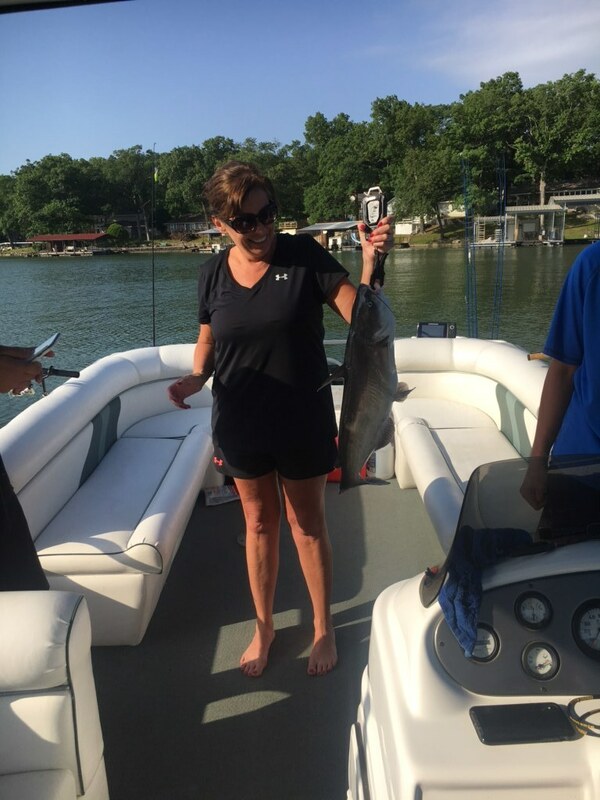 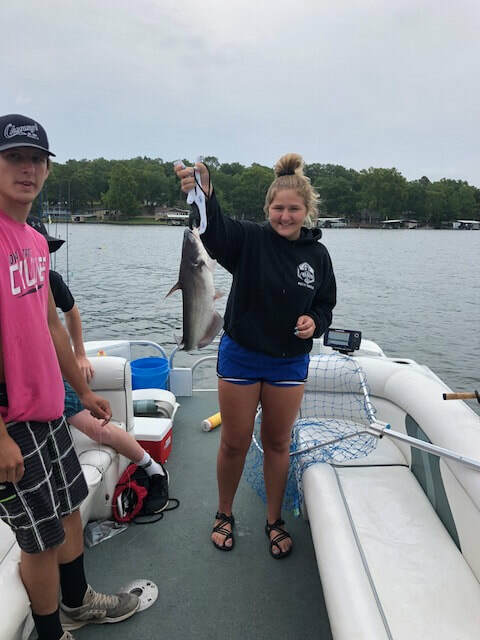 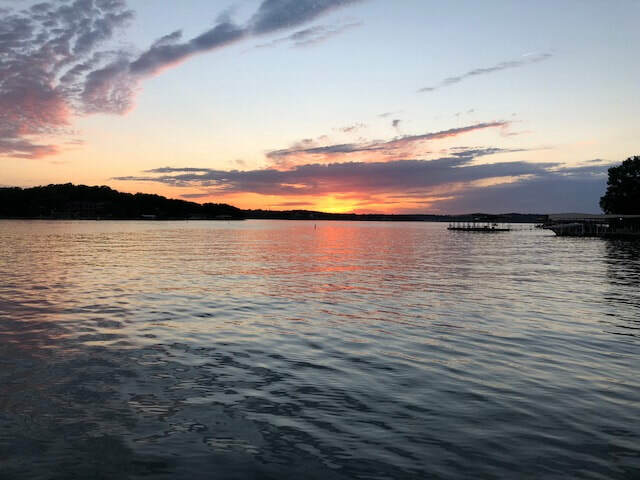 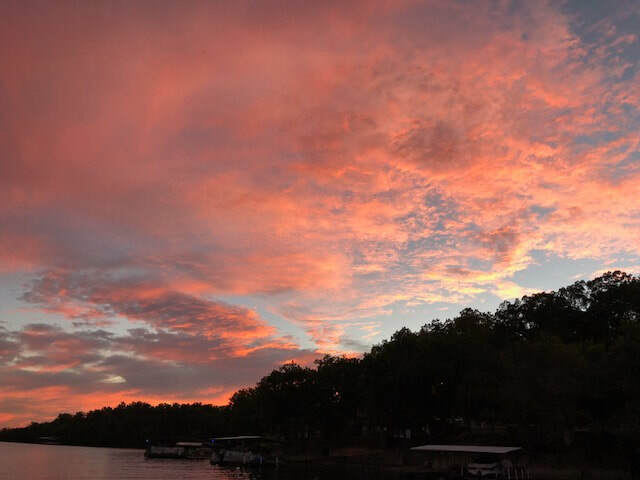 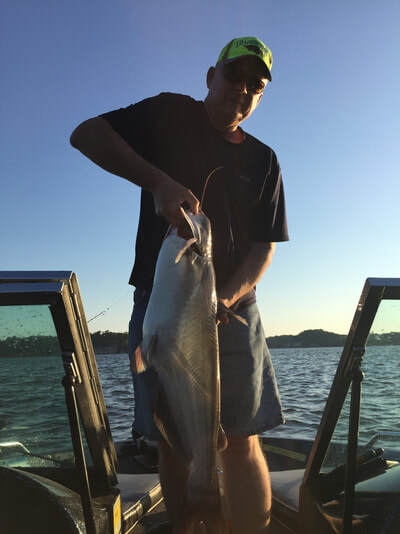 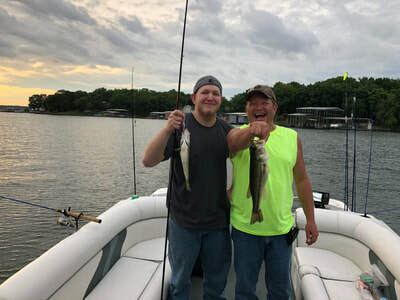 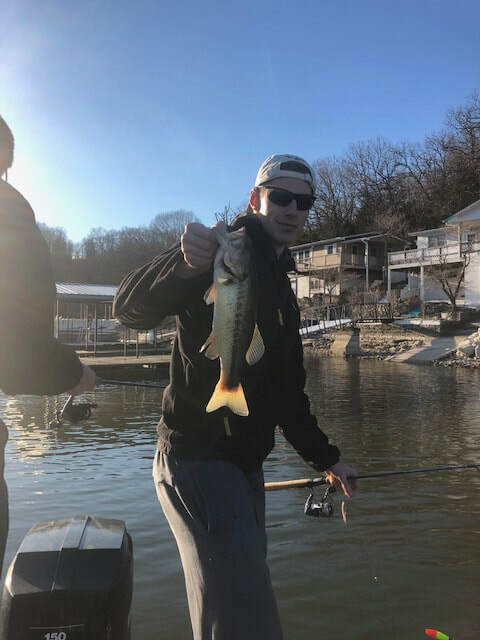 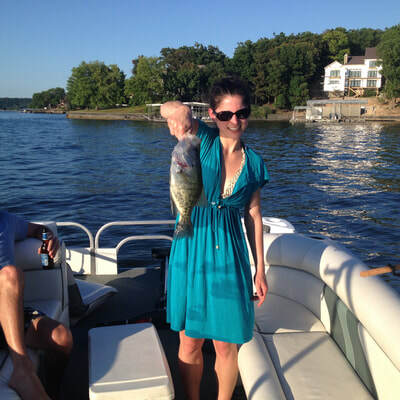 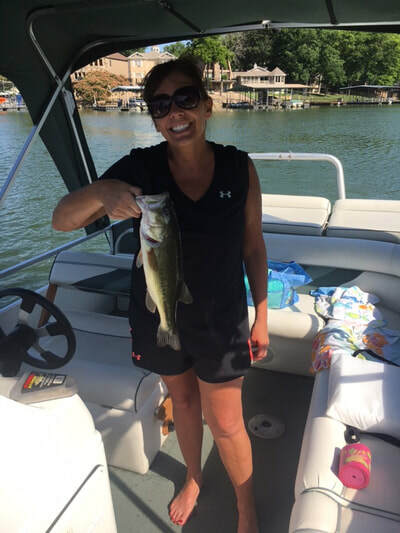 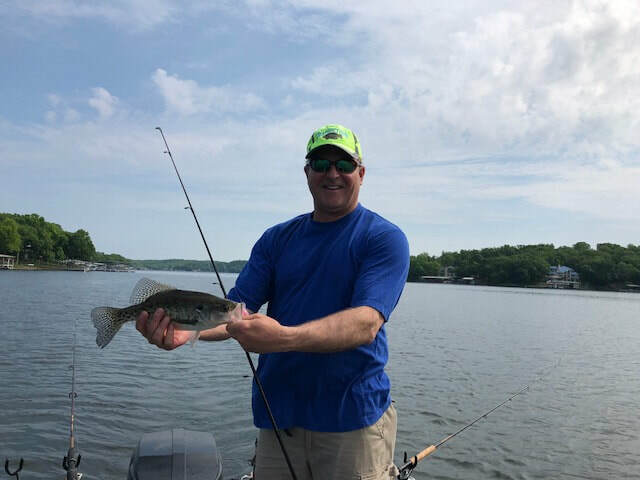 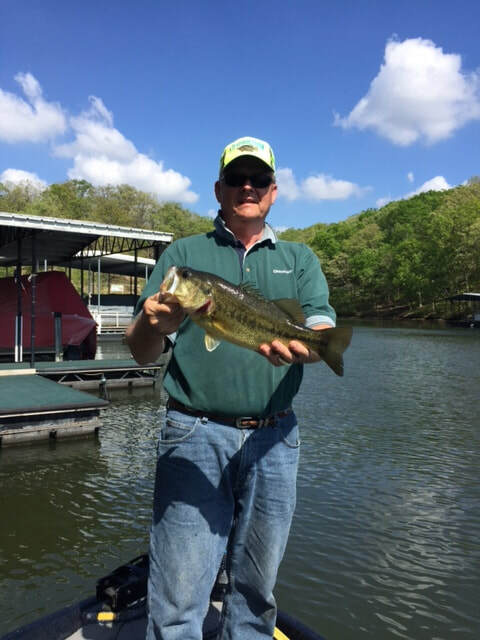 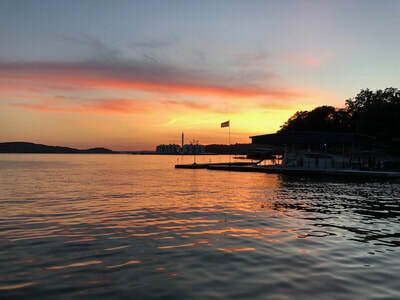 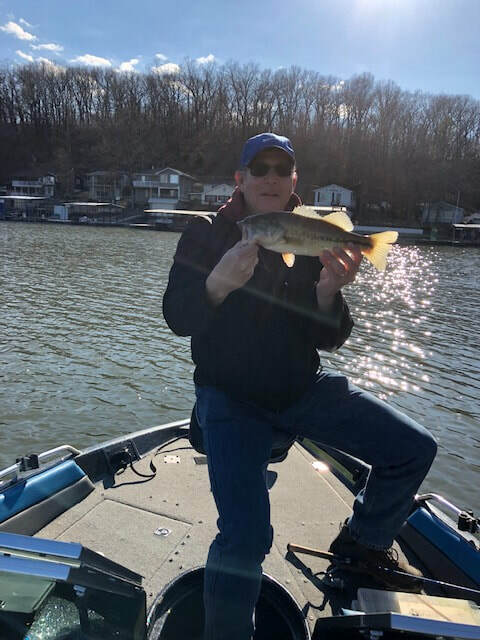 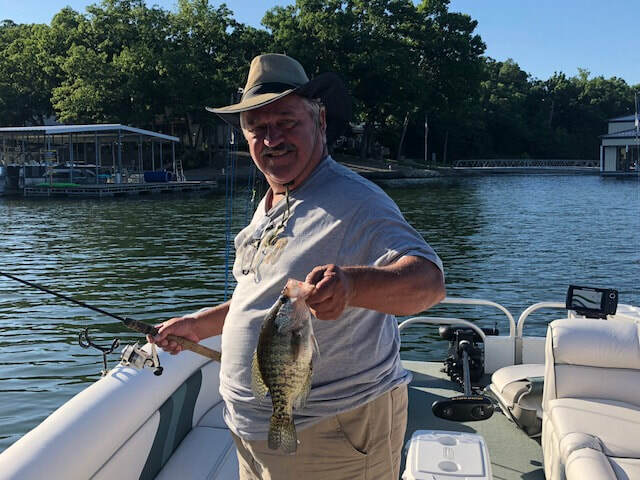 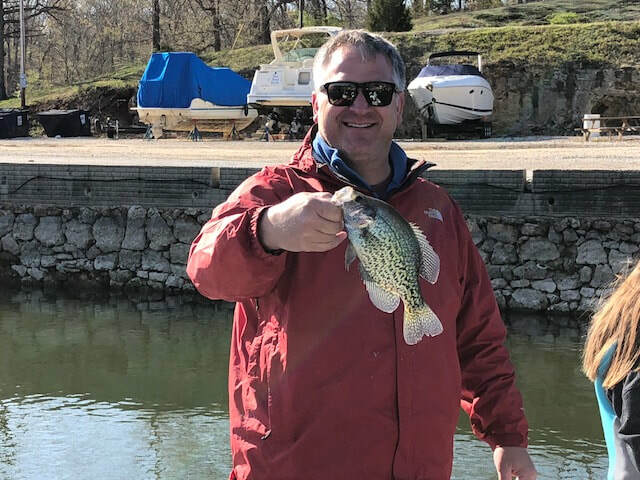 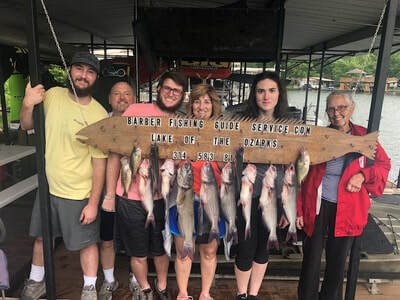 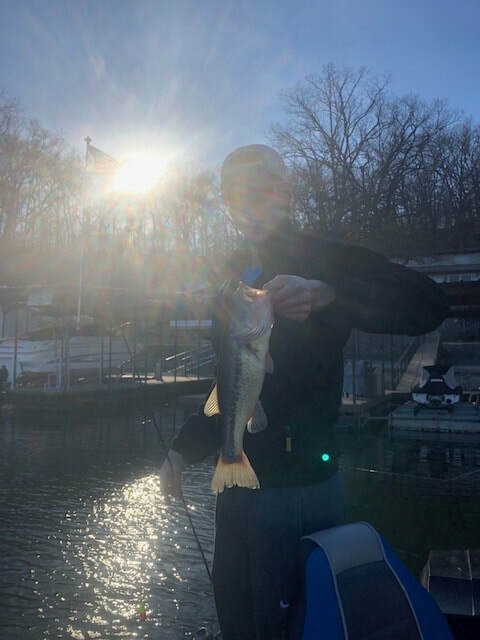 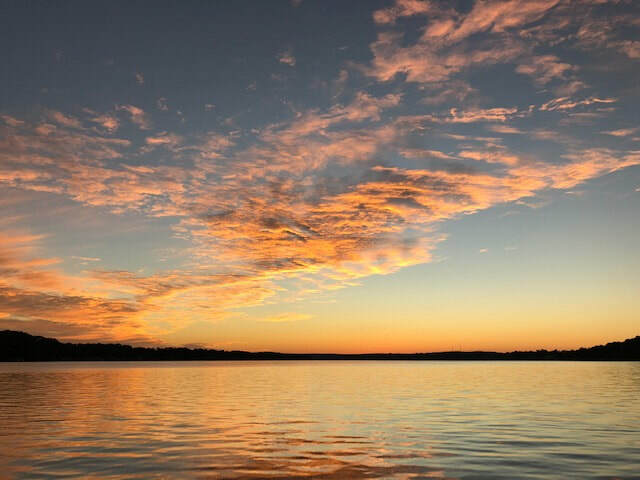 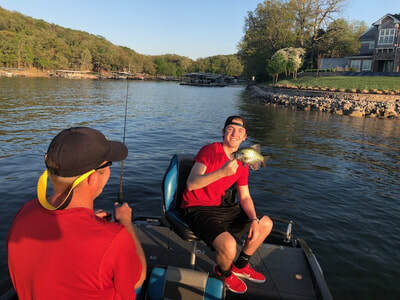 If catching fish or spending time on the water is on your agenda while visiting Lake of the Ozarks, a member of our team will be pleased to serve you. 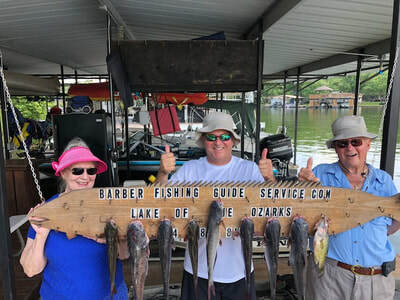 As experienced boaters and anglers with extensive expertise, we routinely guide Lake of the Ozark clients to their preferred fish species. 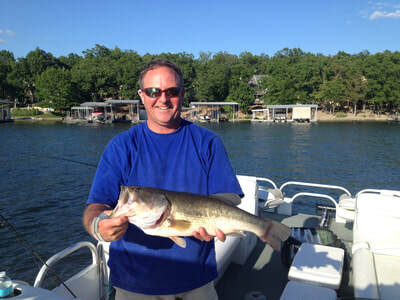 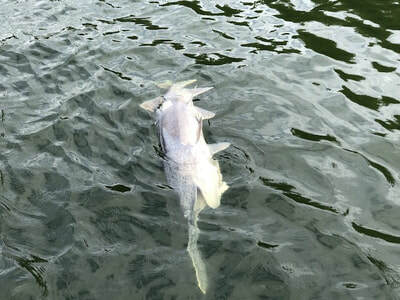 We share our knowledge and expertise with novice and professional anglers year-round. 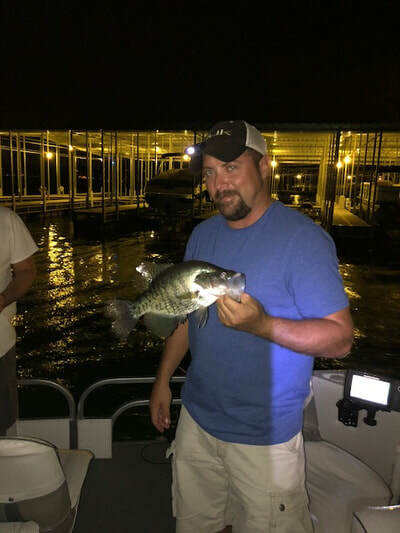 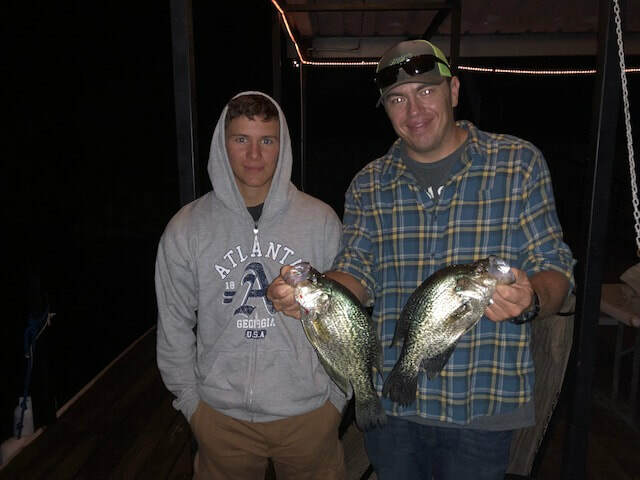 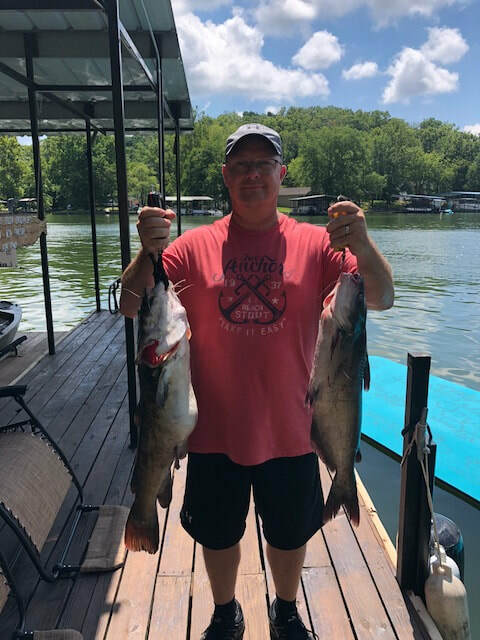 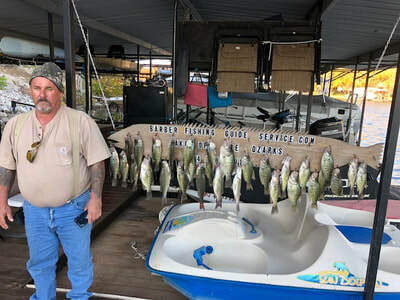 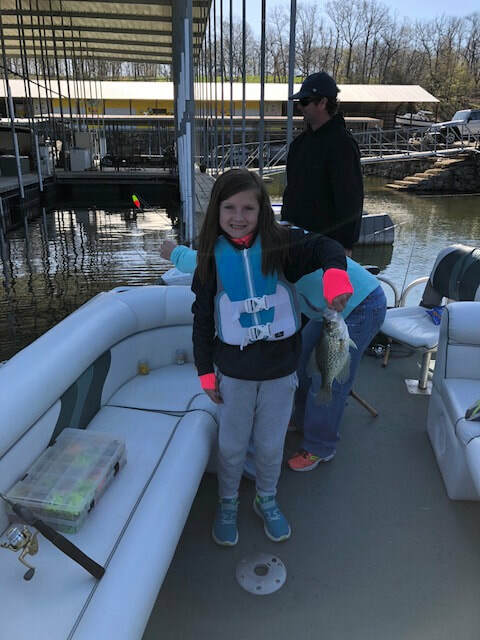 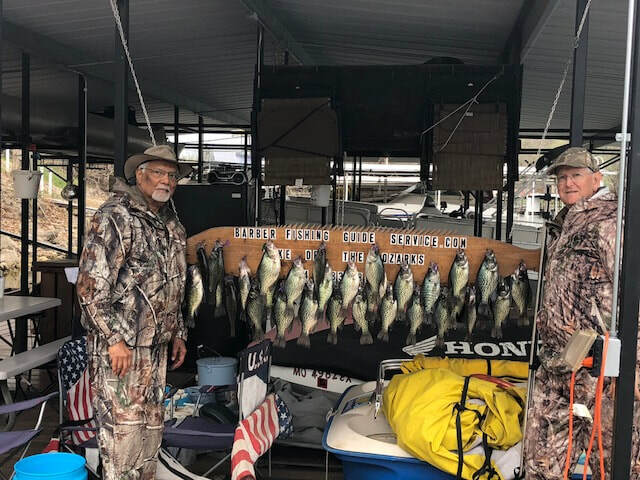 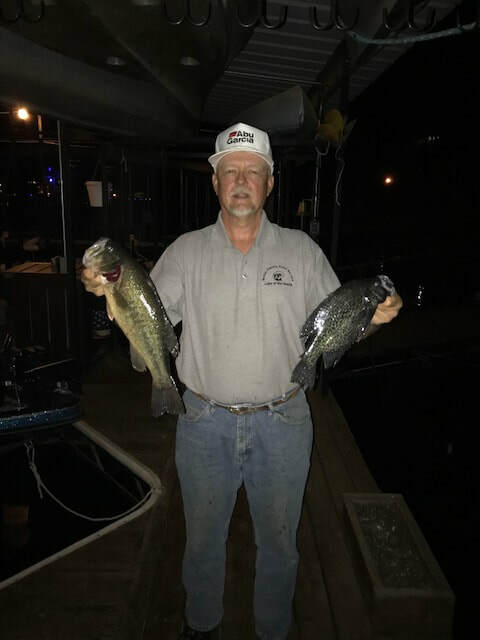 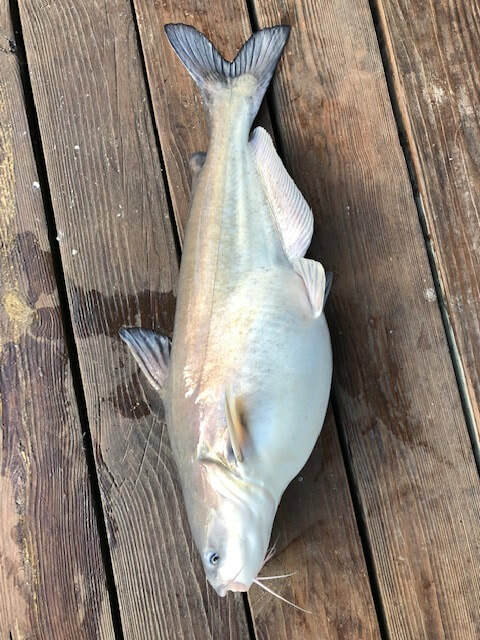 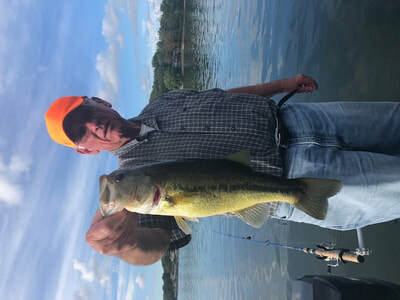 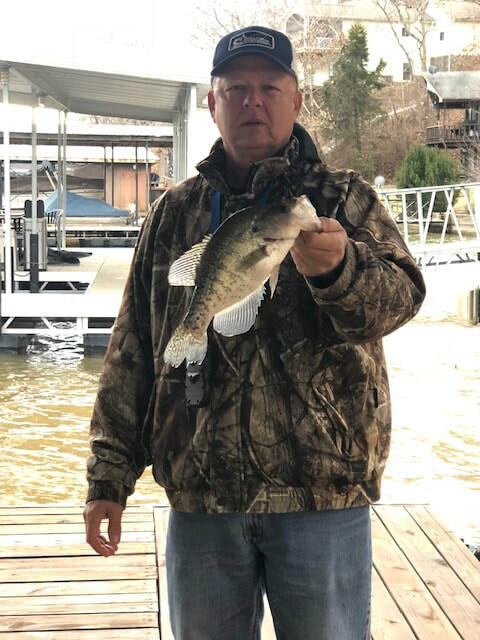 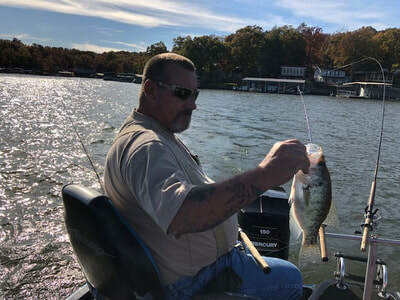 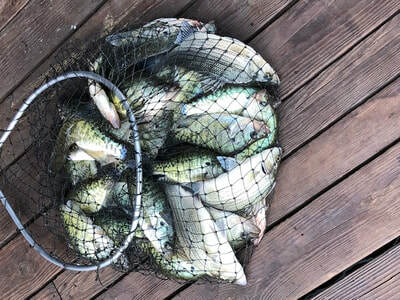 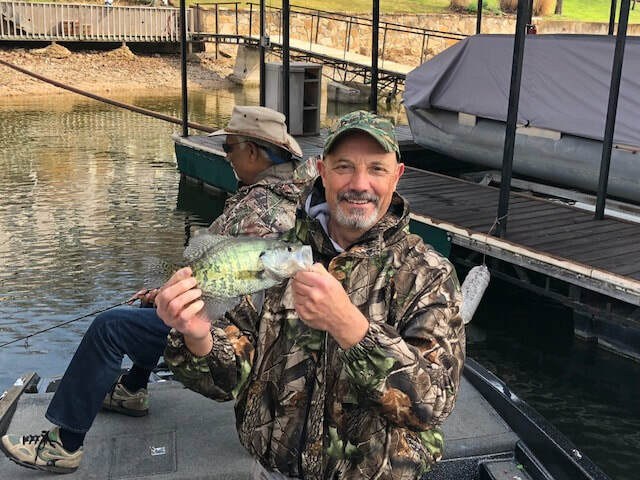 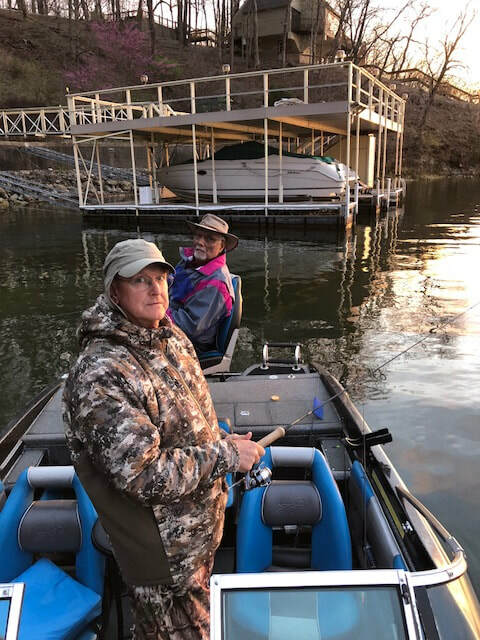 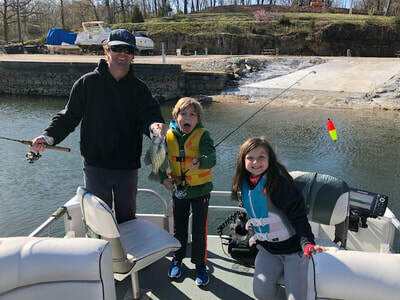 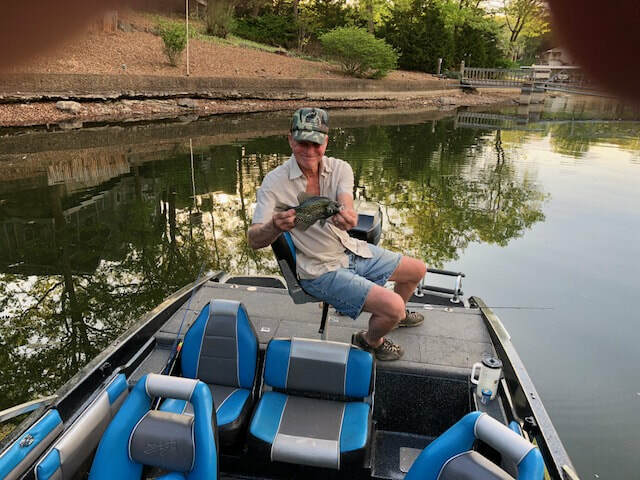 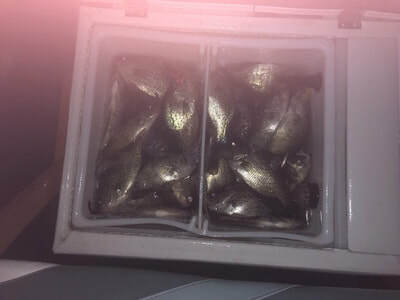 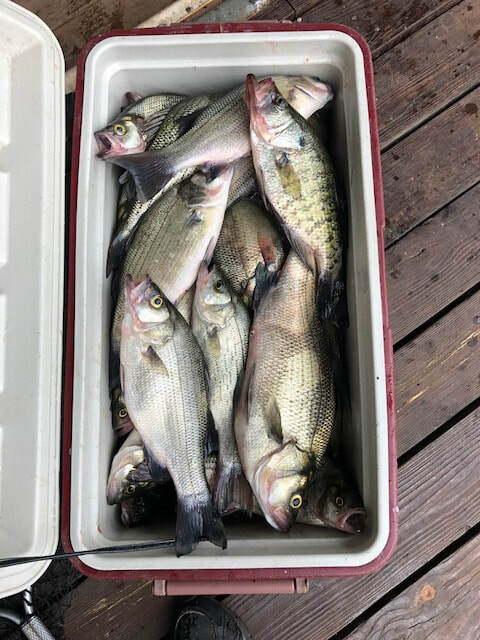 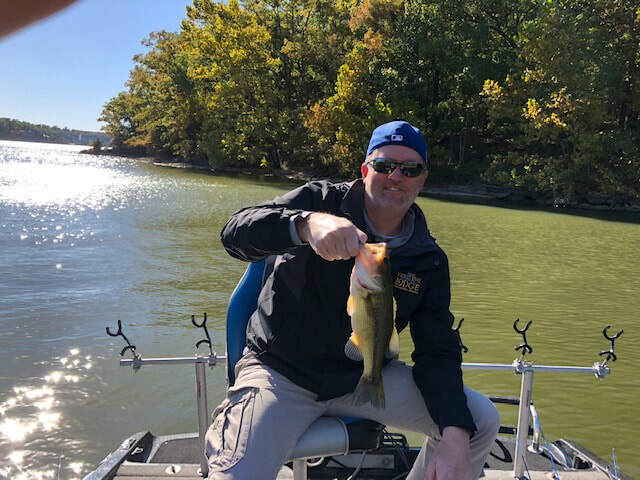 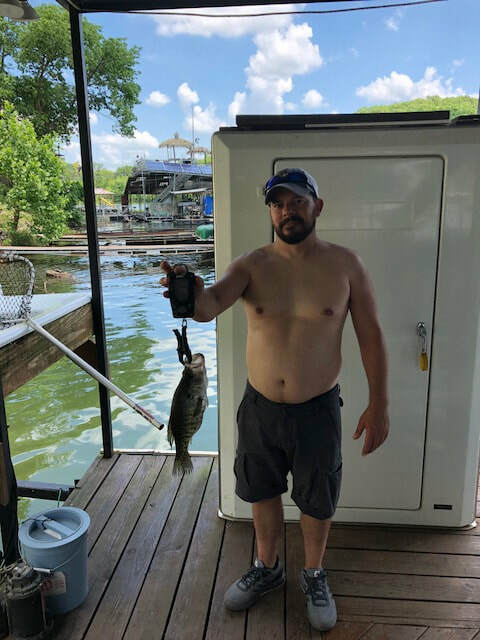 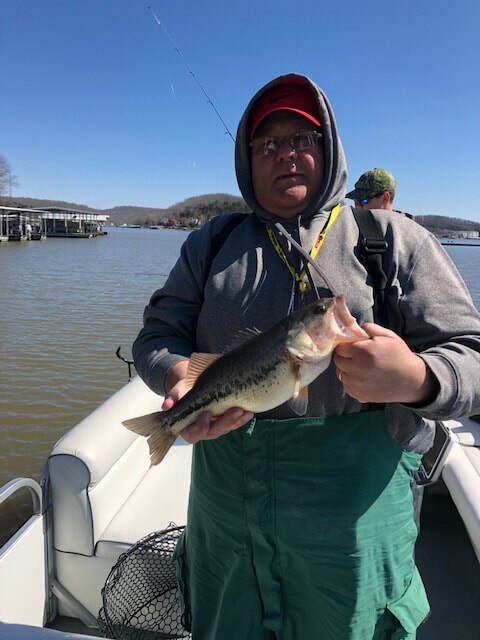 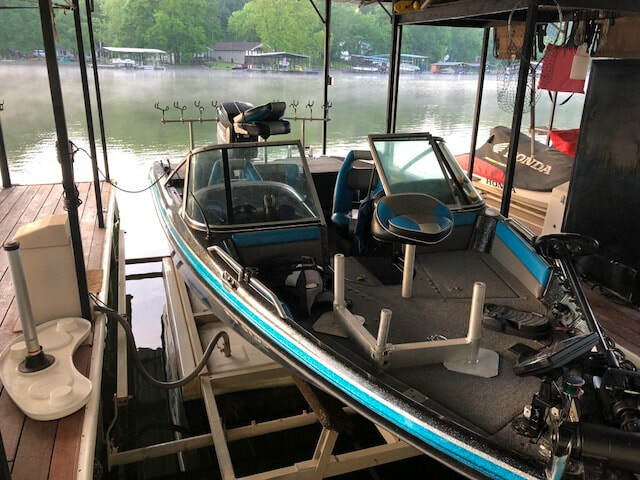 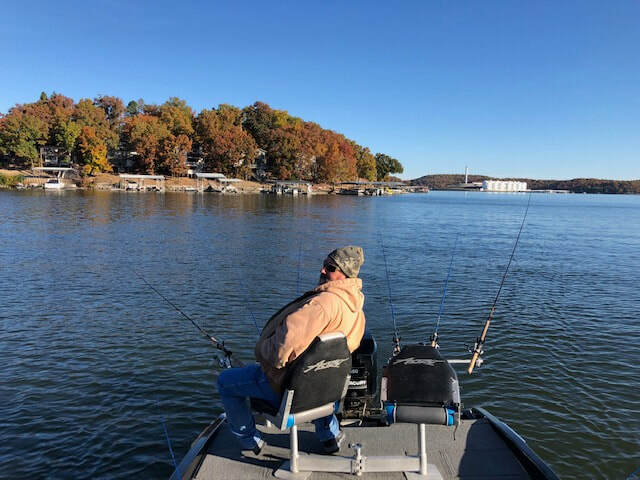 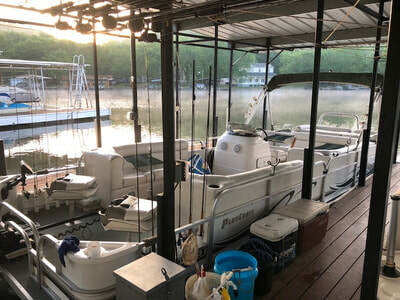 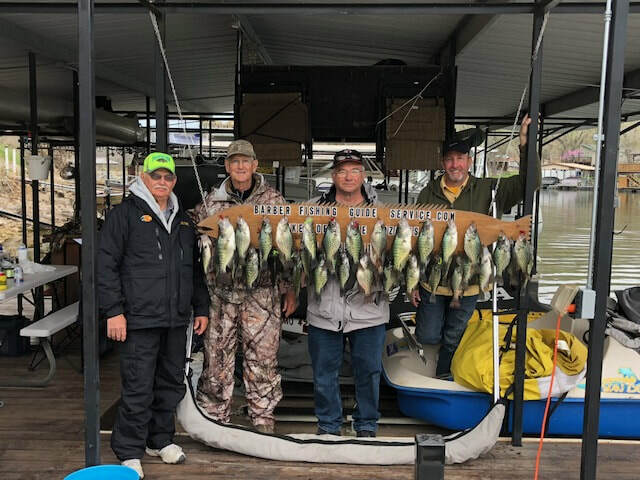 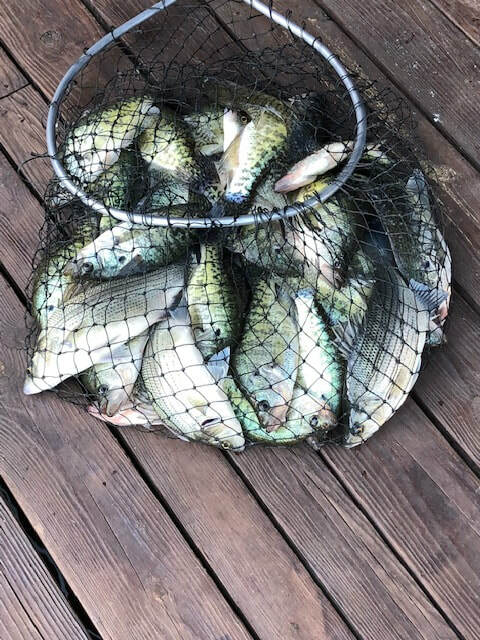 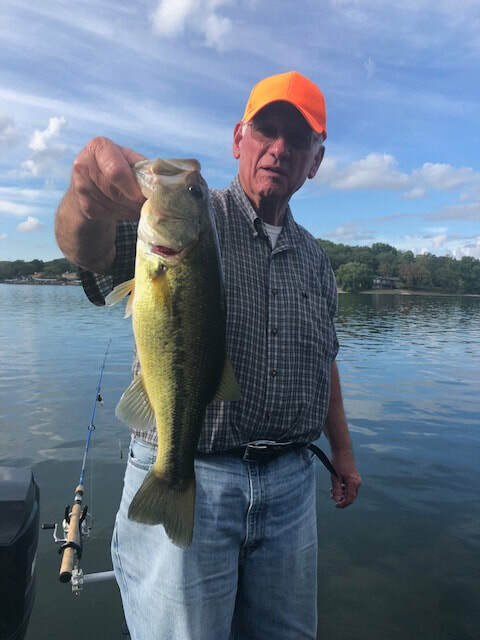 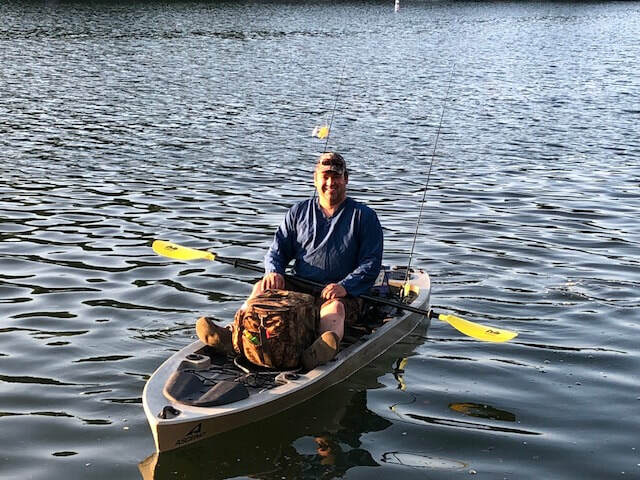 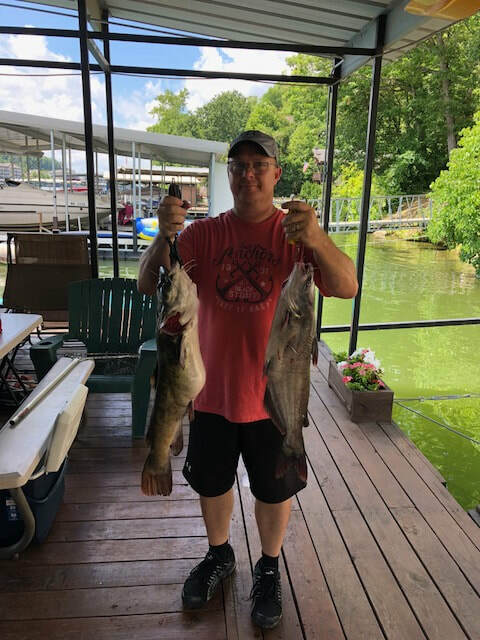 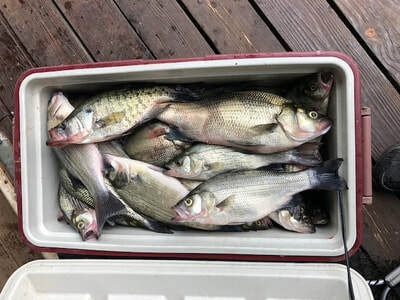 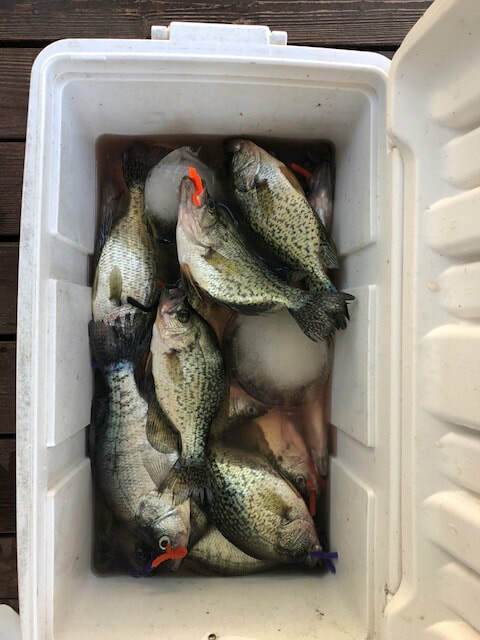 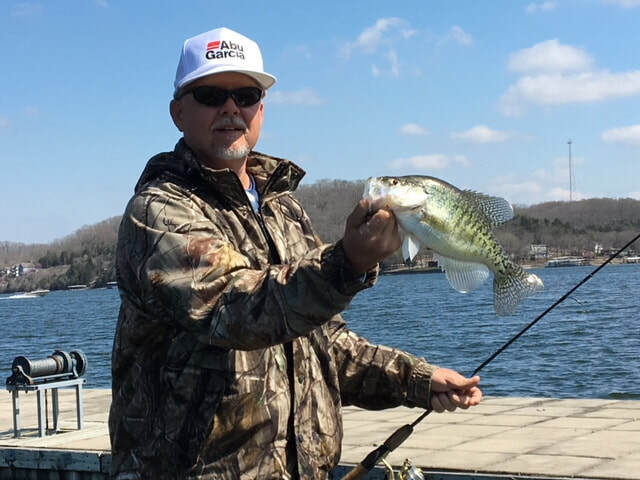 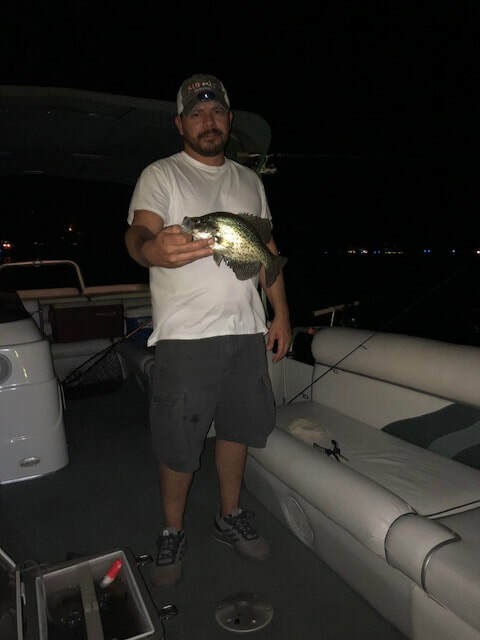 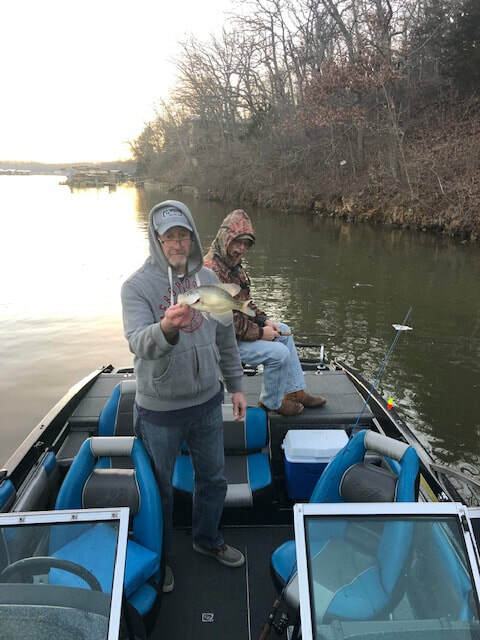 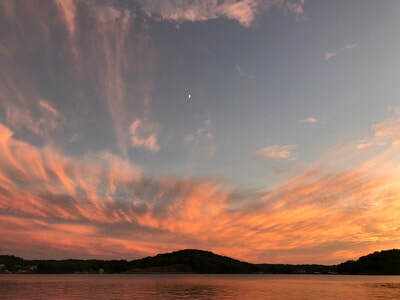 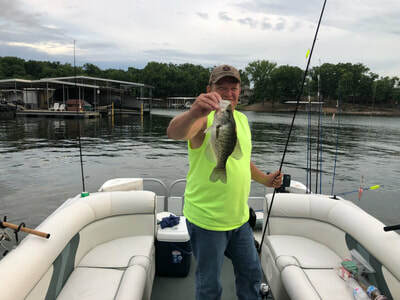 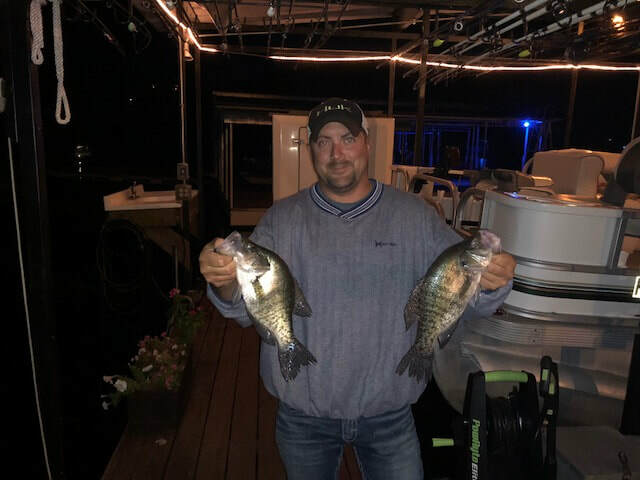 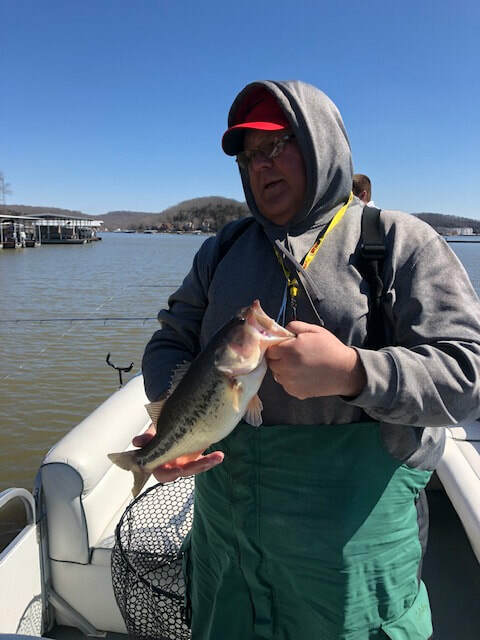 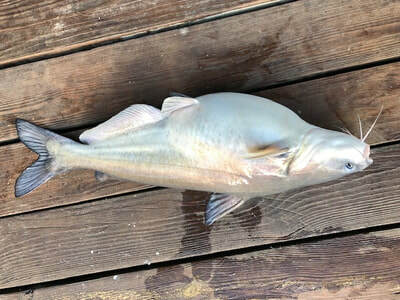 As our boat dock is located in Lick Branch Cove at the 5 mile marker (north shore) we prefer to conduct fishing charters within 15 miles of Bagnell Dam. 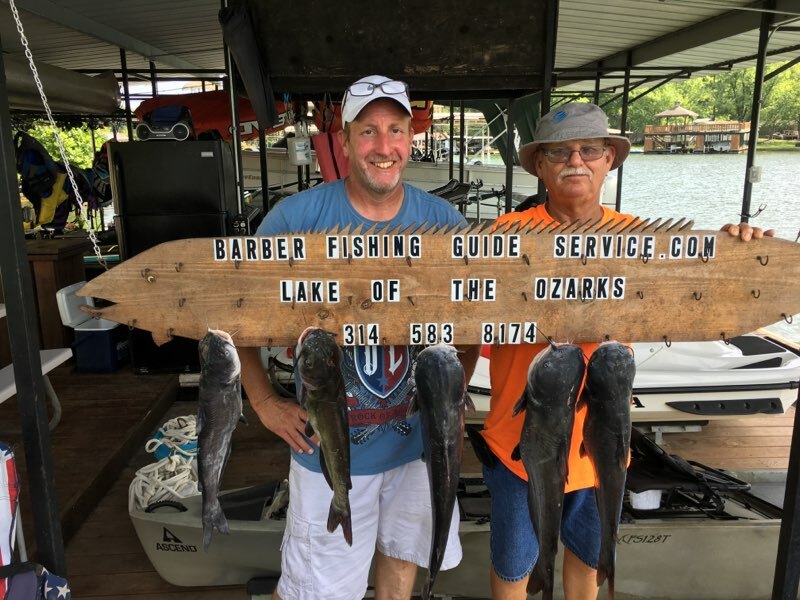 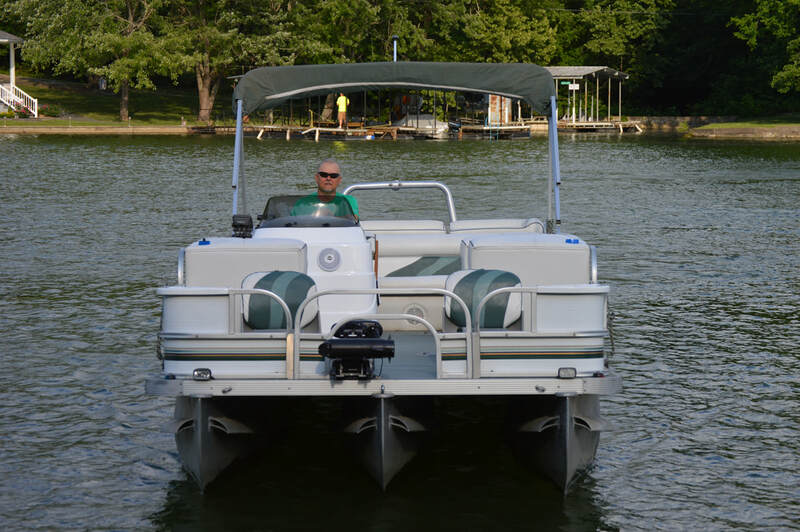 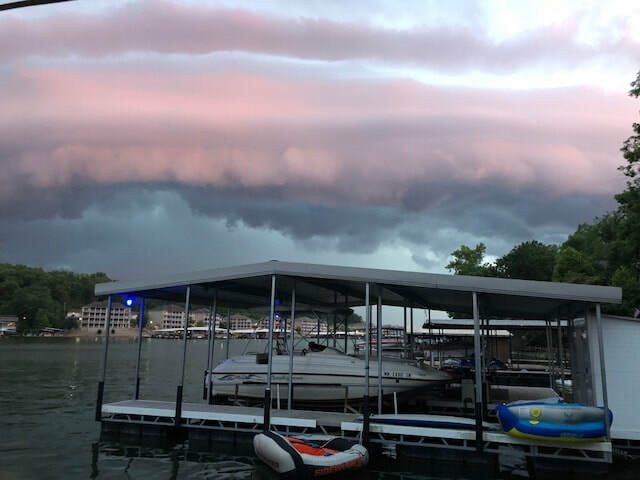 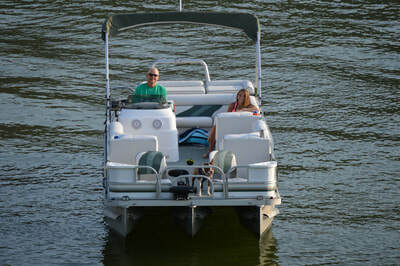 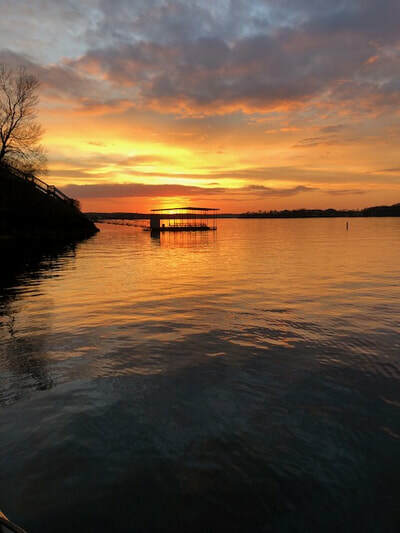 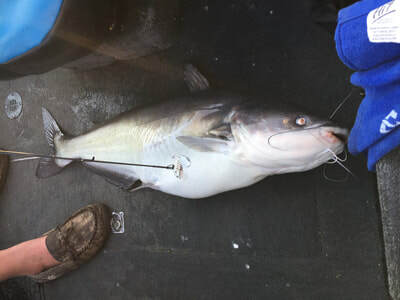 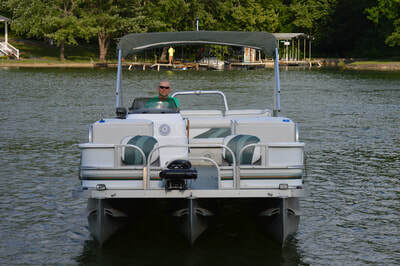 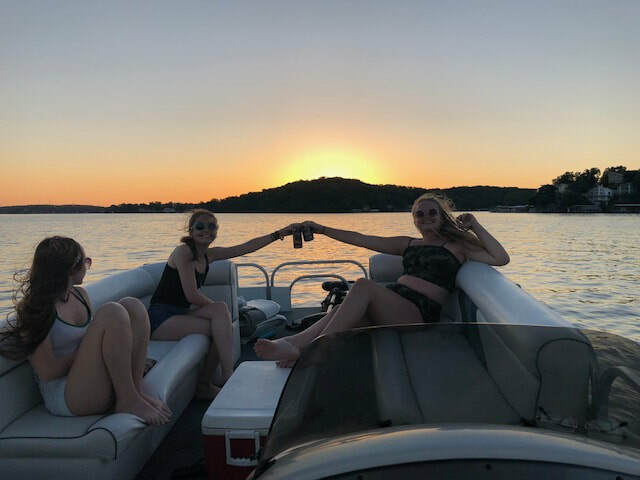 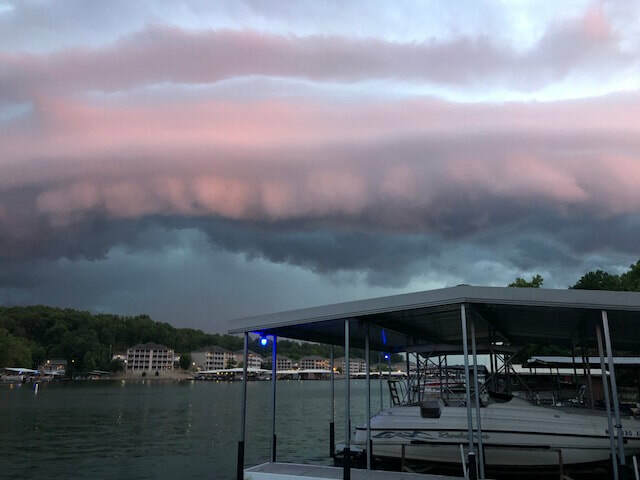 We typically begin charters at our dock however we will pick you up on the water between Bagnell dam and mile marker 15 or any Gravois arm location. 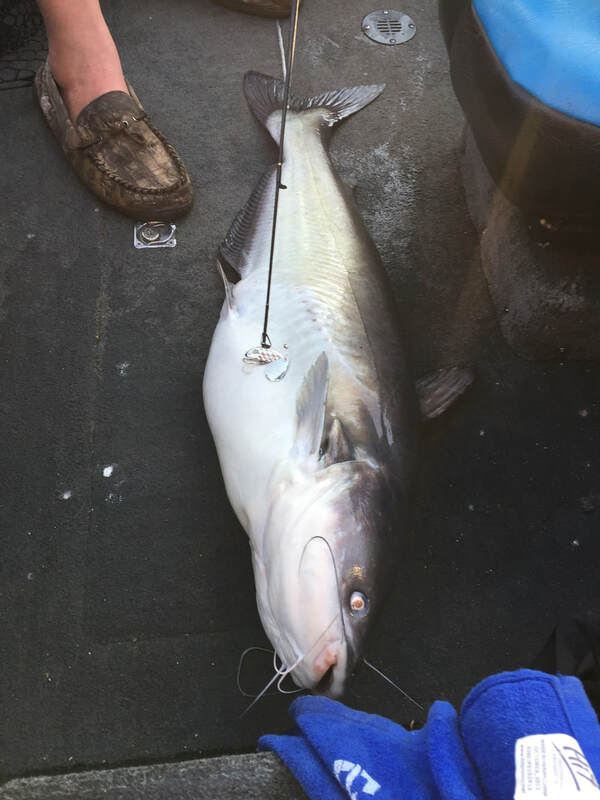 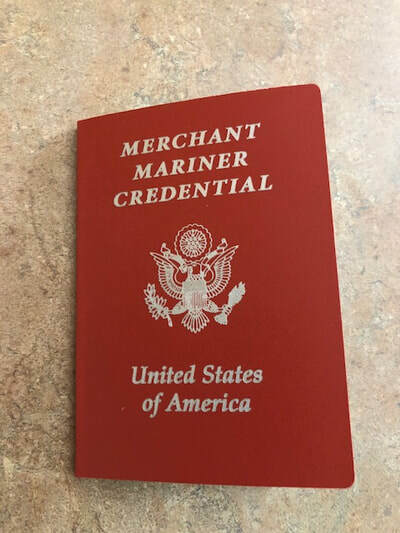 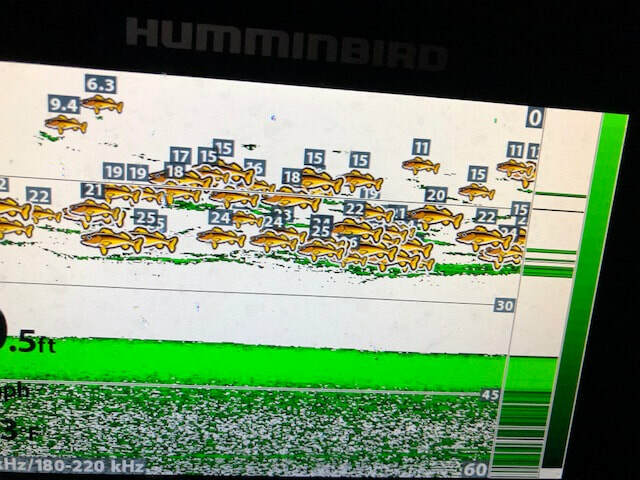 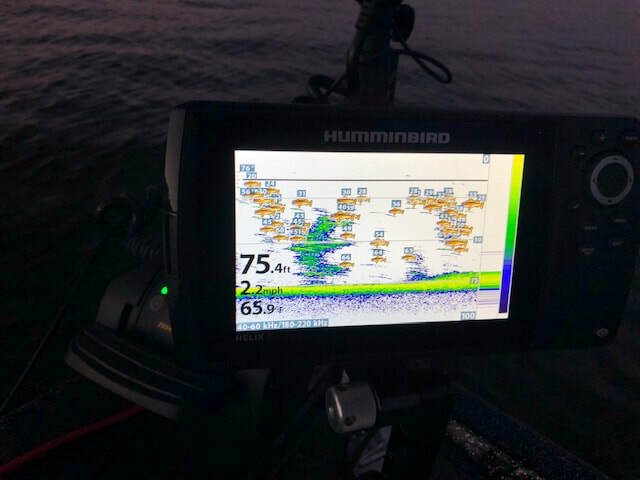 Please click on the fishing charter rate tab above to review rates and options. 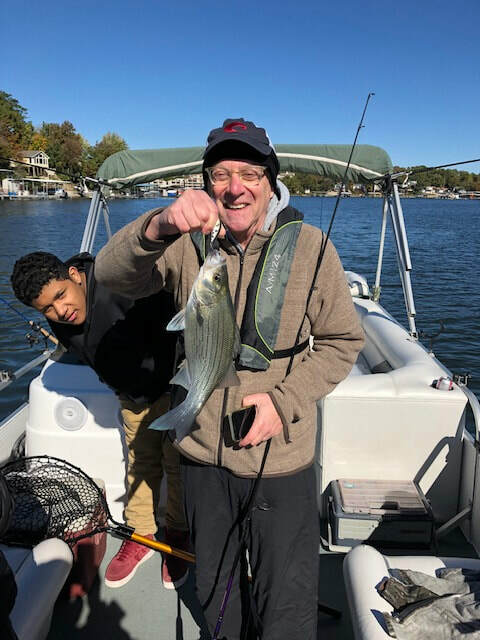 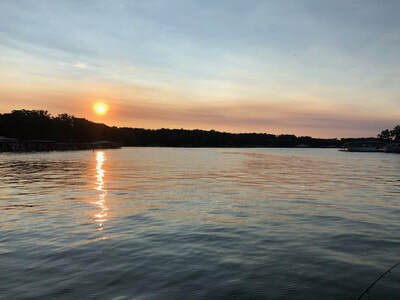 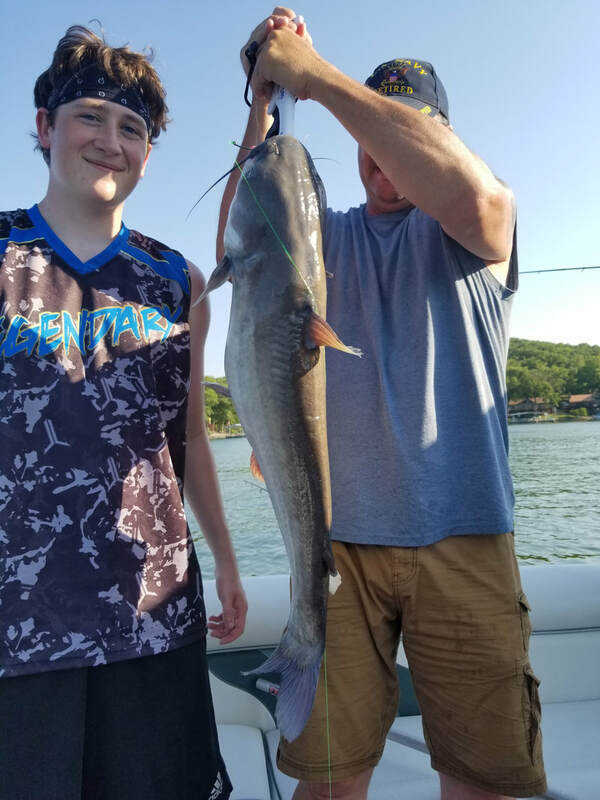 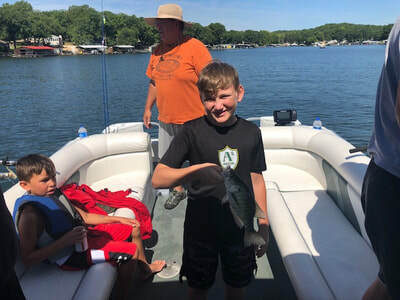 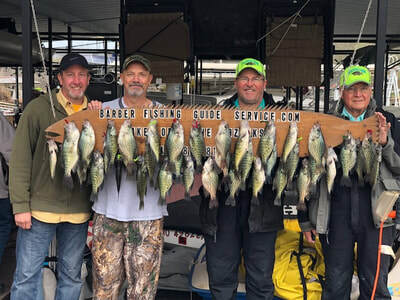 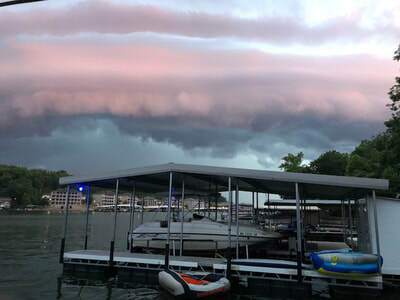 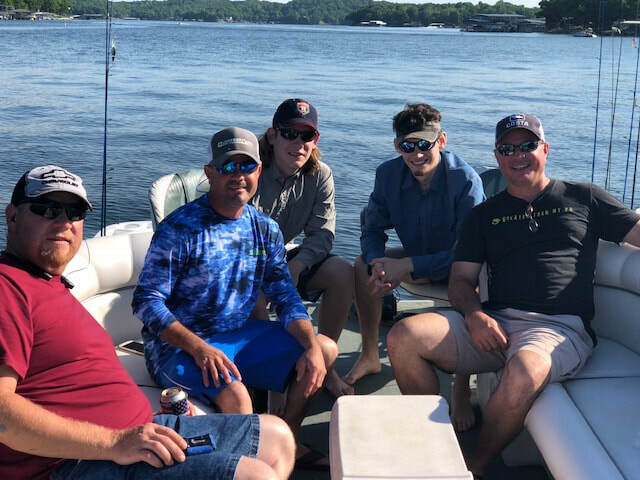 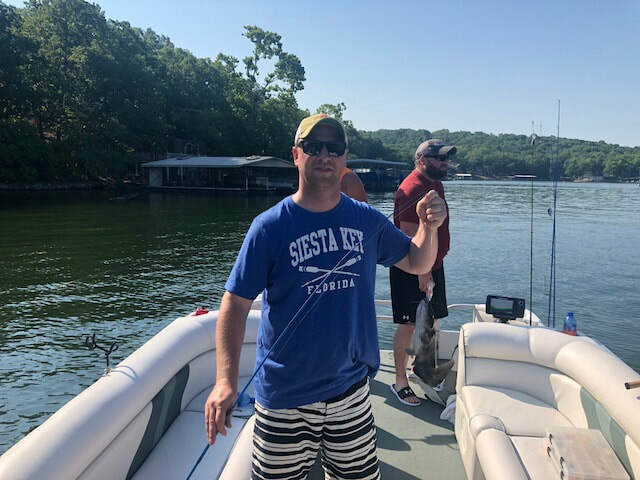 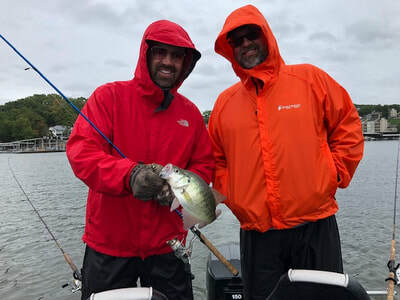 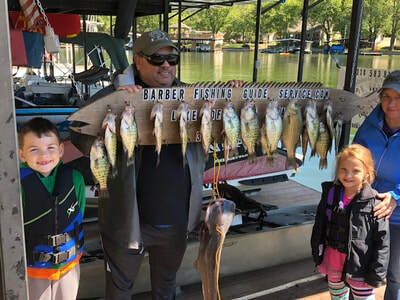 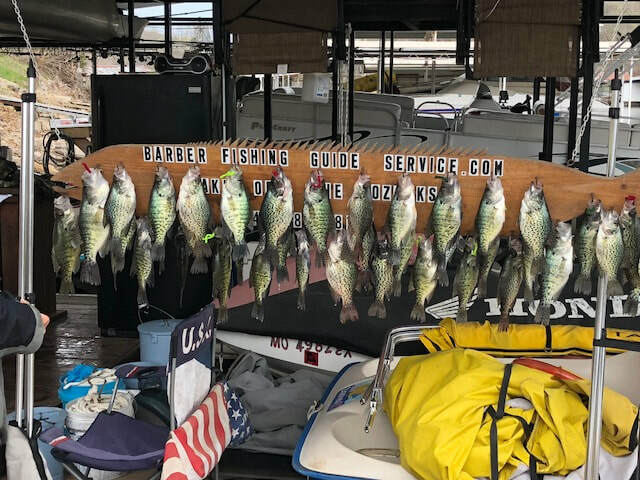 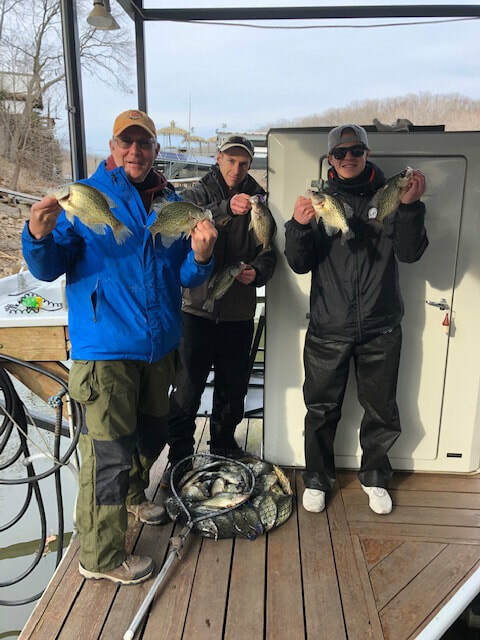 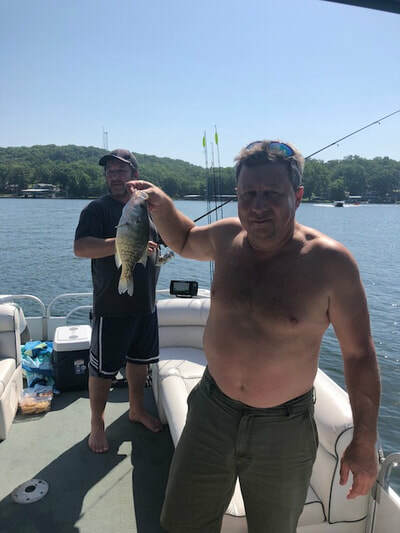 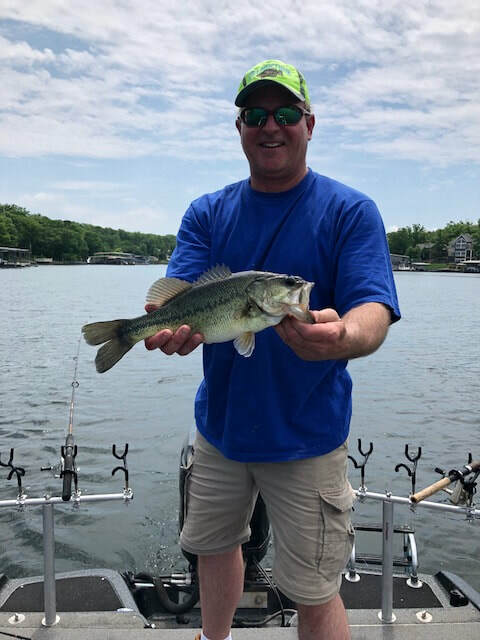 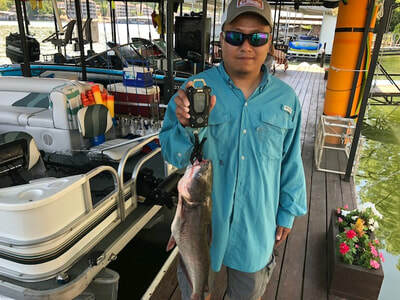 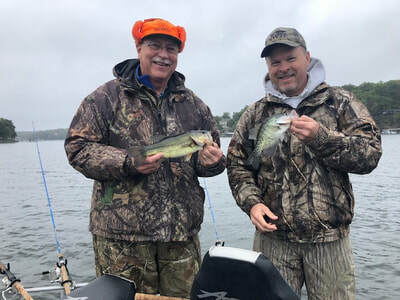 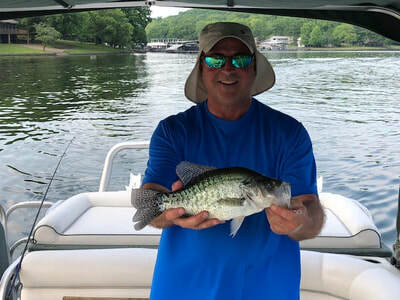 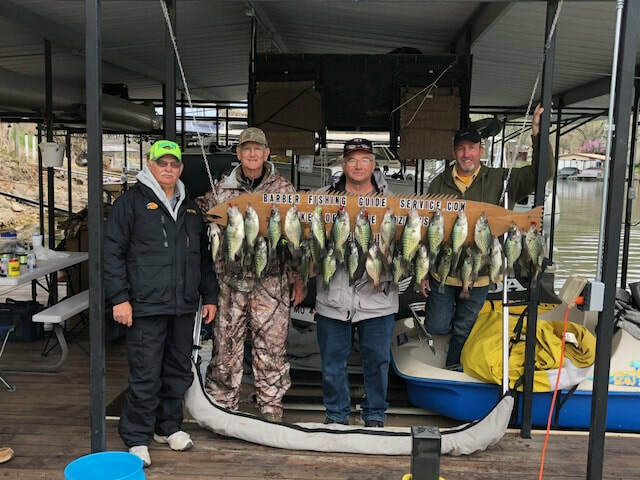 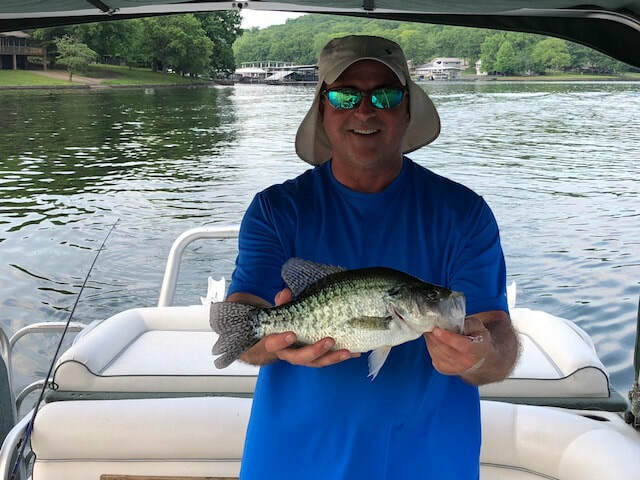 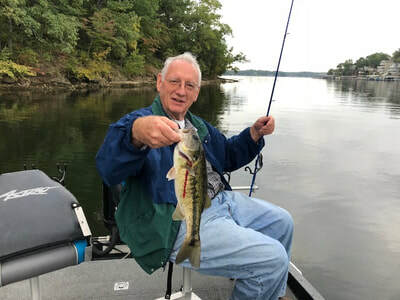 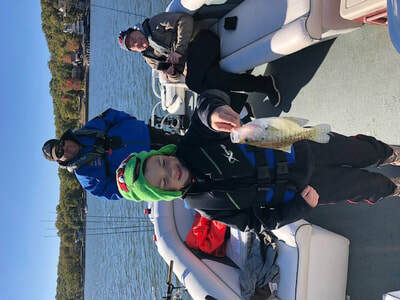 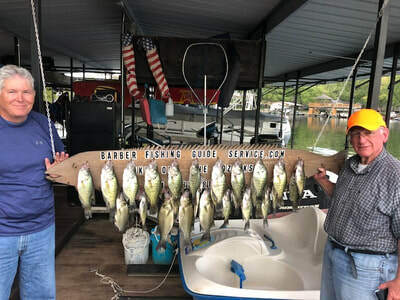 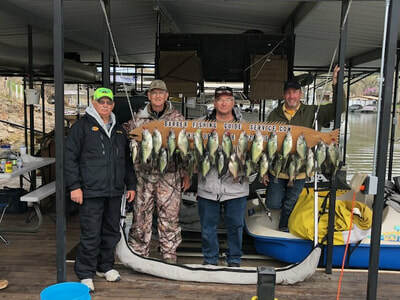 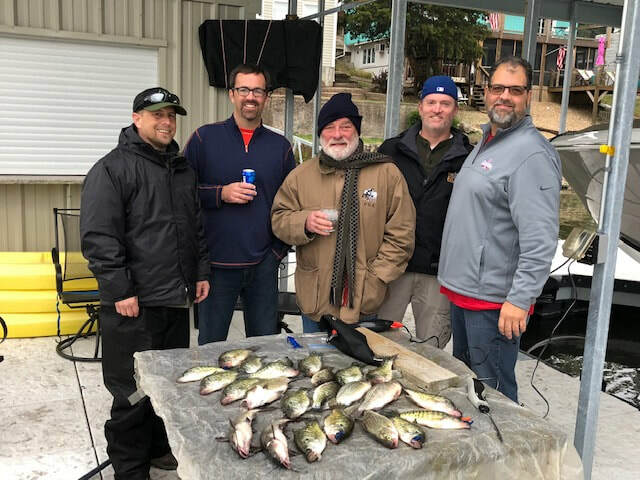 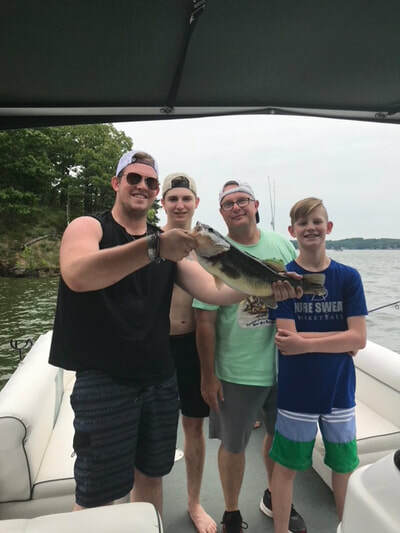 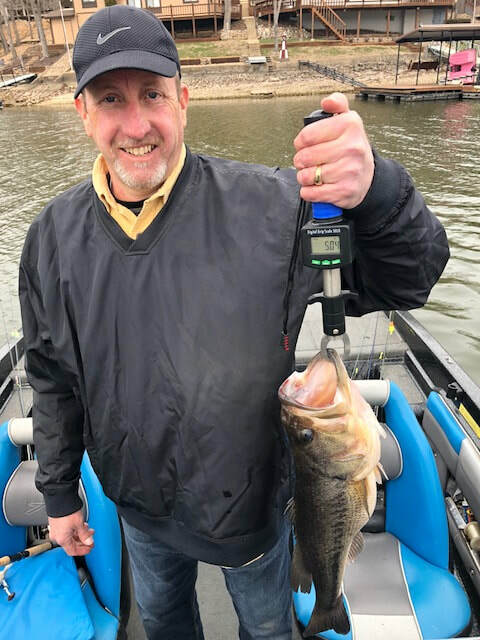 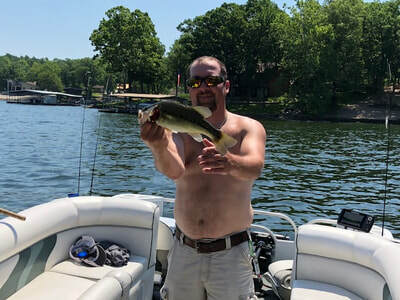 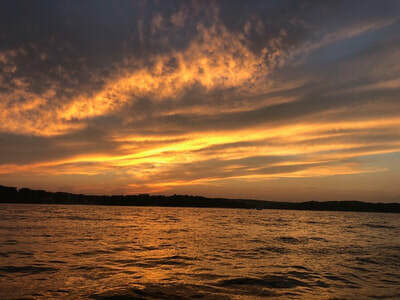 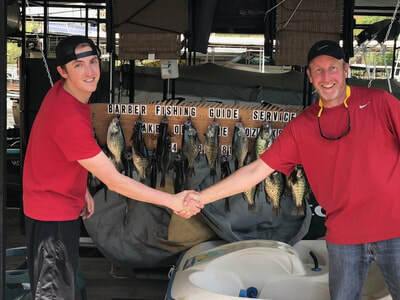 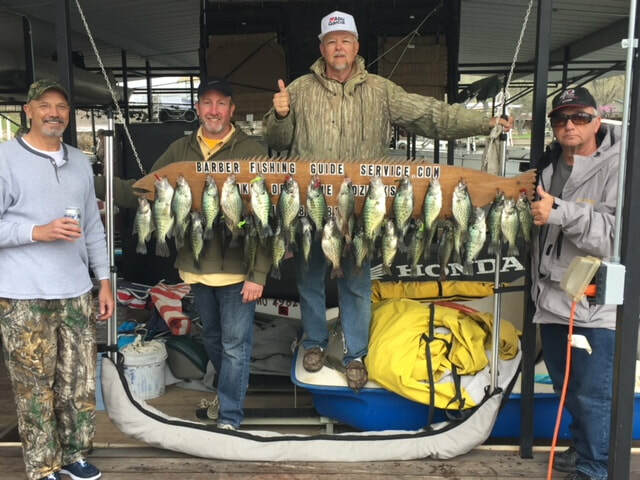 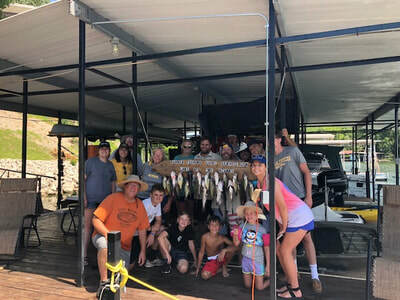 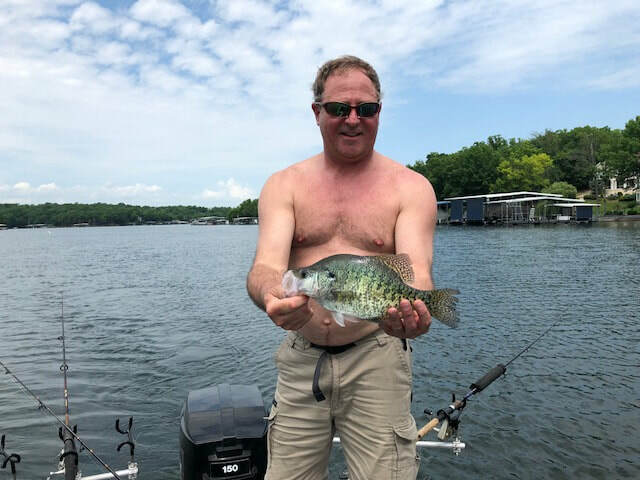 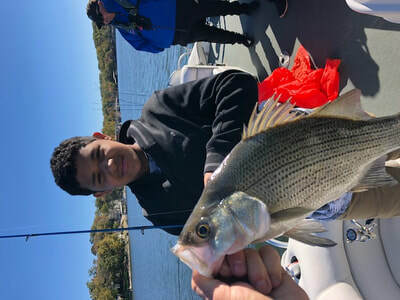 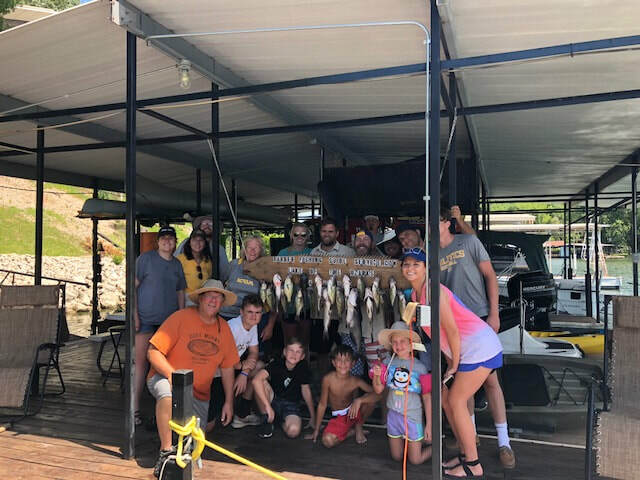 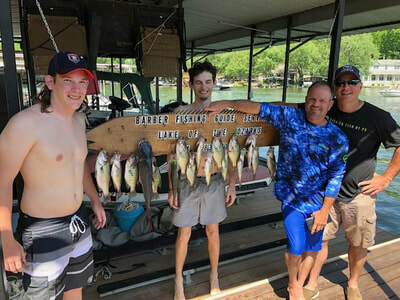 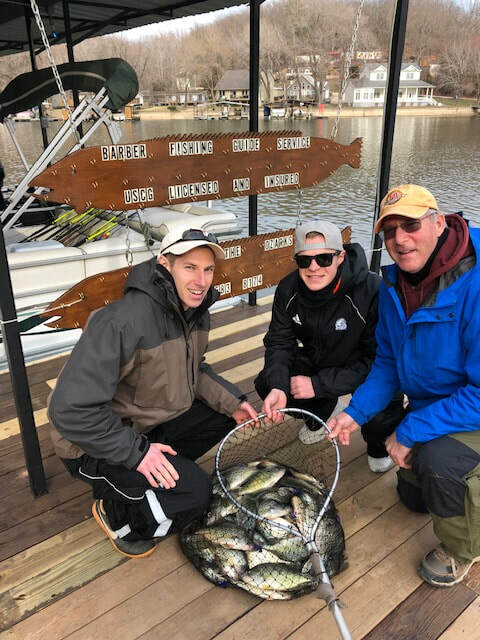 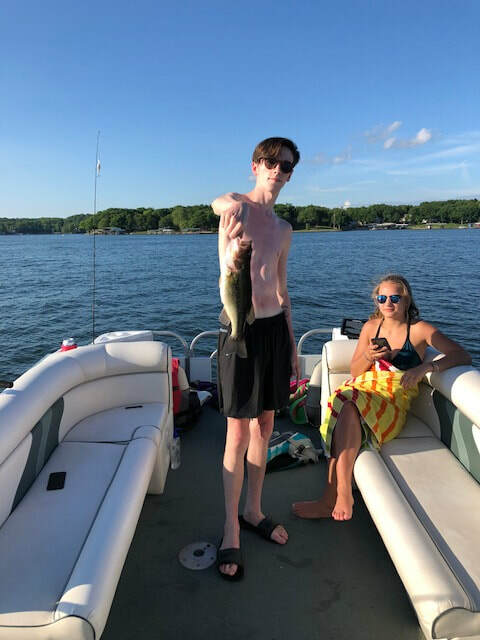 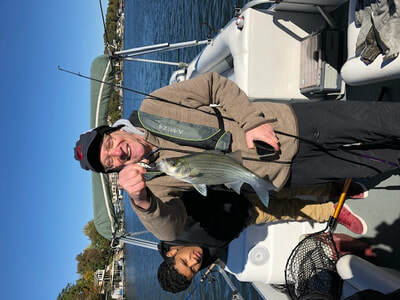 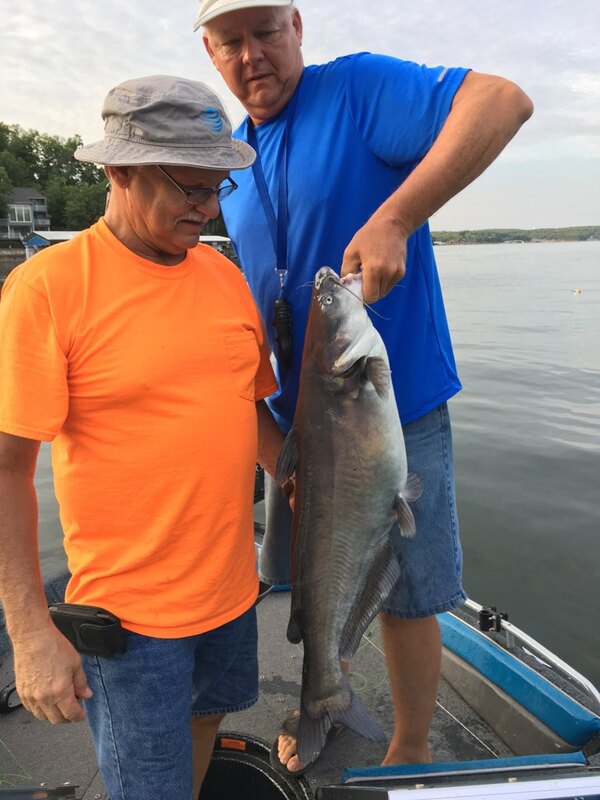 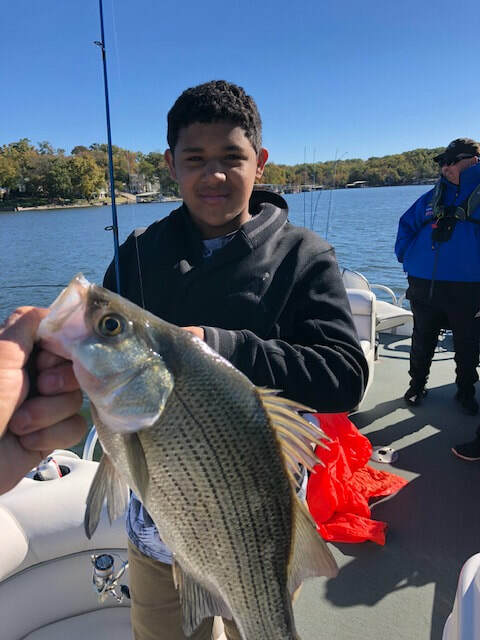 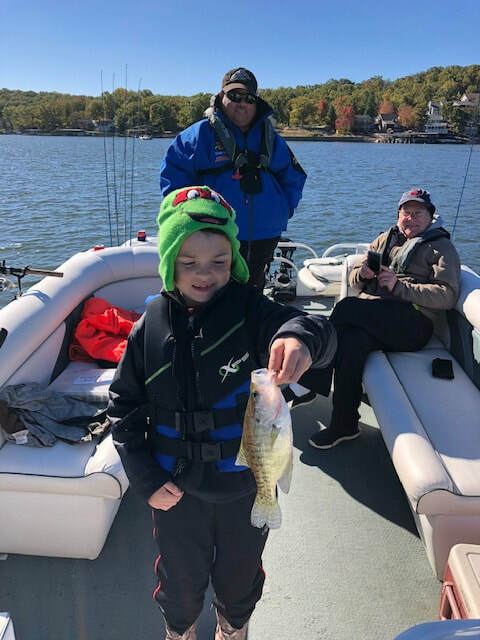 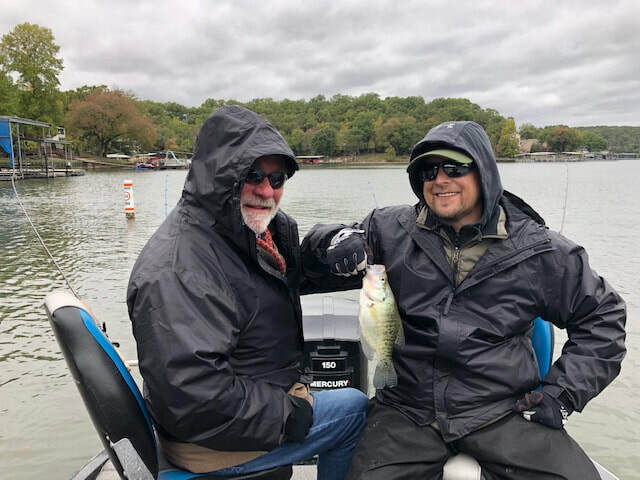 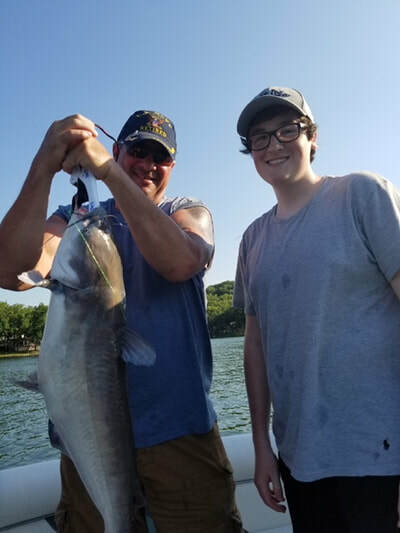 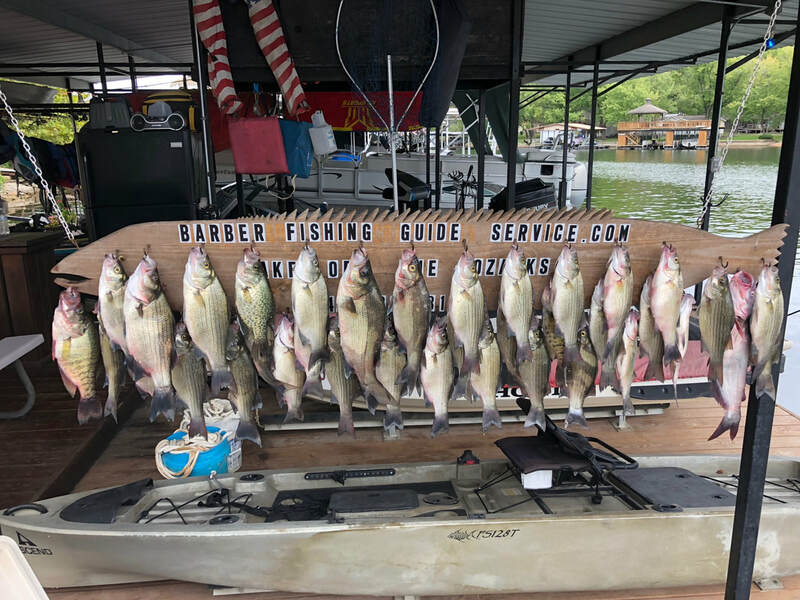 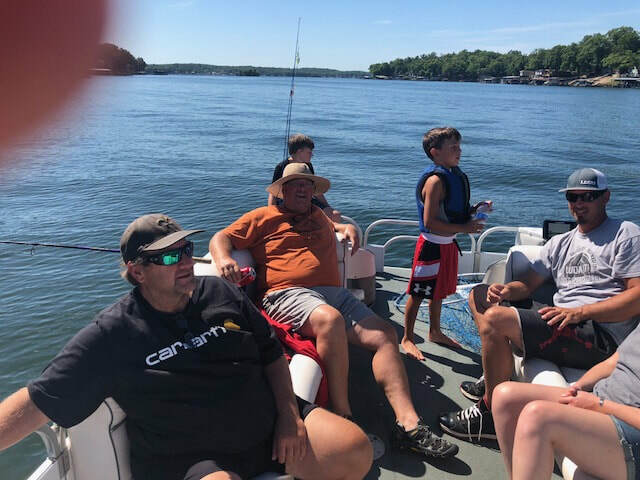 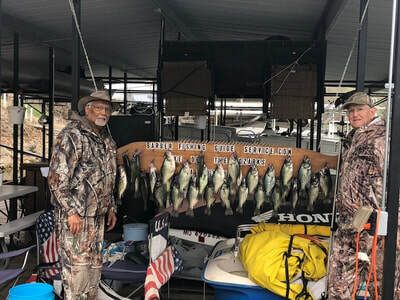 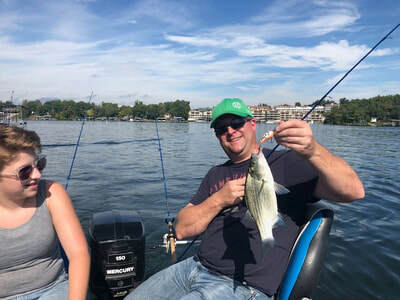 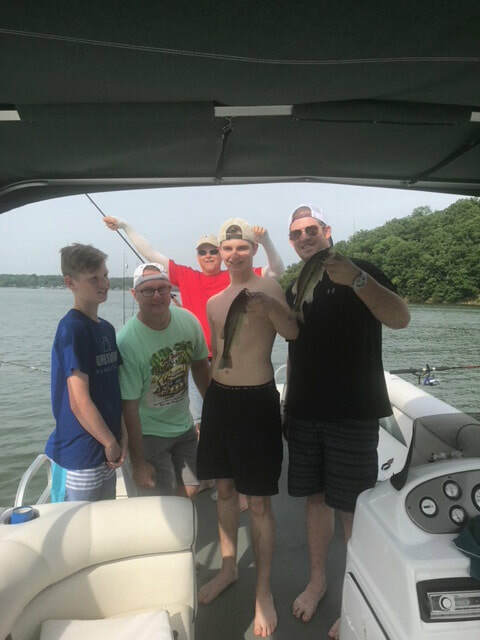 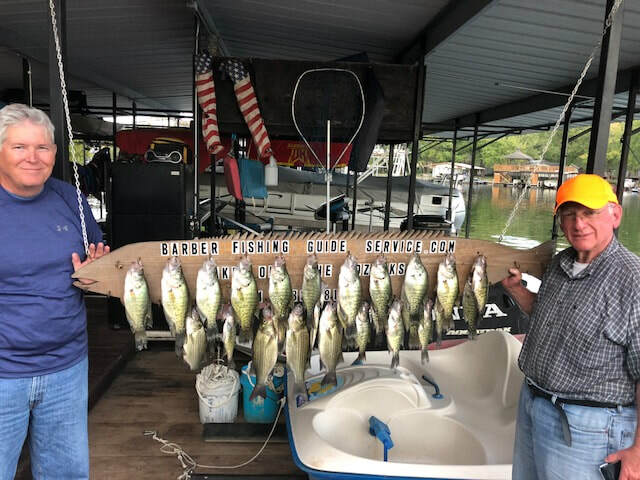 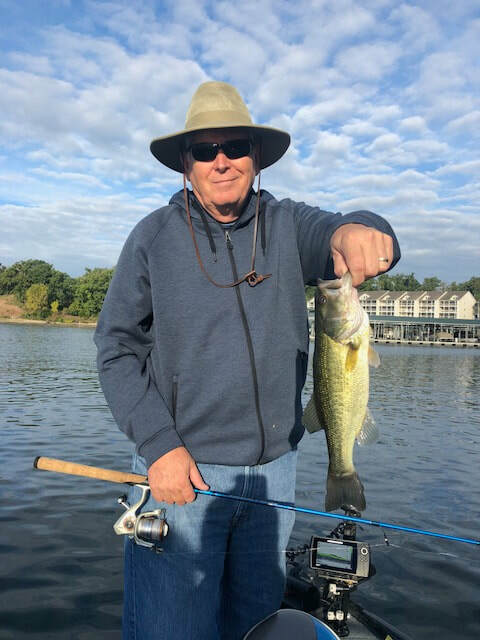 When you fish with Barber Guide Service our expert captains and guides do what it takes to insure a successful day of fishing or cruising on beautiful Lake of the Ozarks!